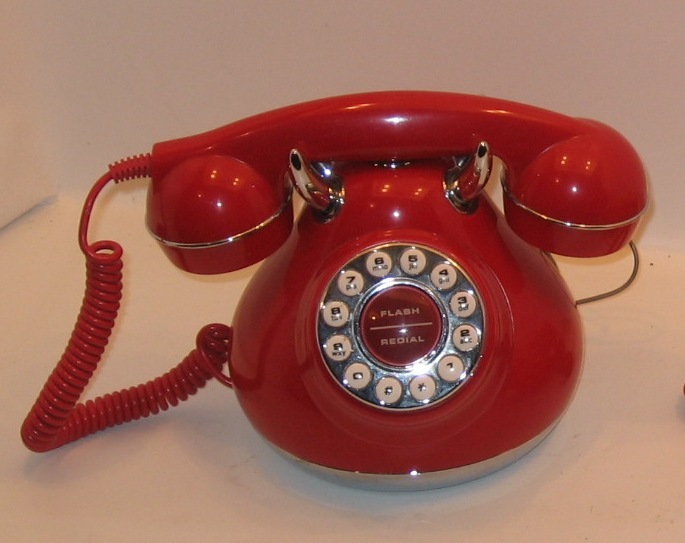 We have a good selection of phones designed for specific purposes and locations. 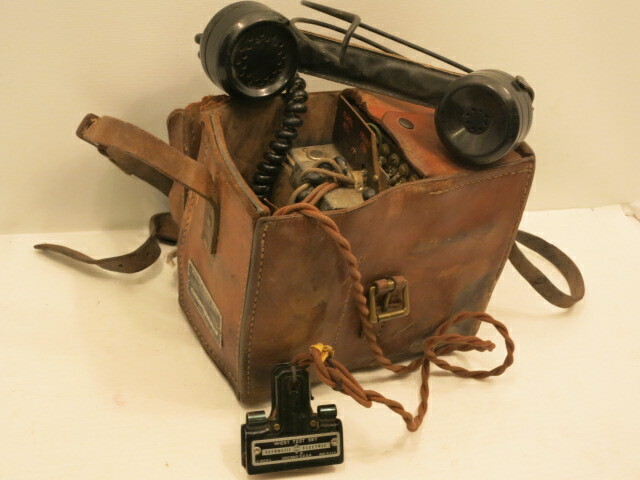 Most of these items are authentic phones once used in cars, mines, trains, prisons, police stations and ships. 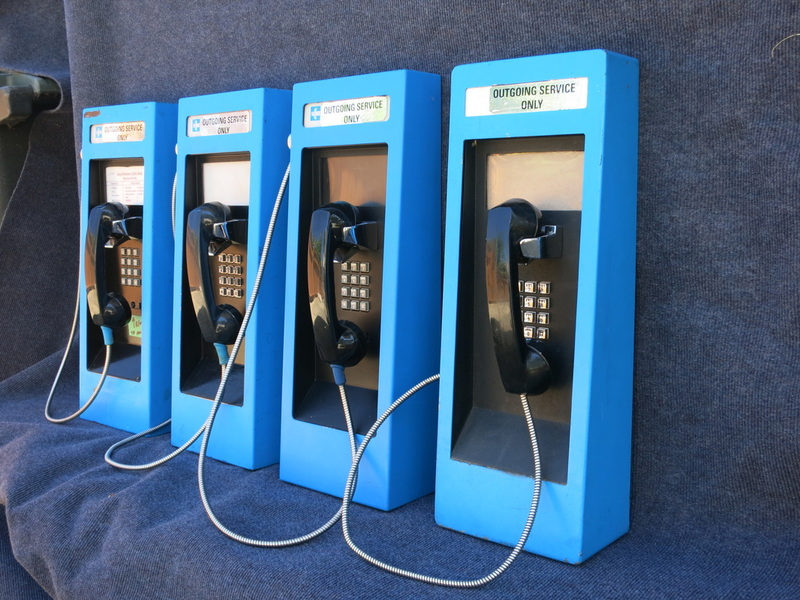 We also have cellular phones, radio dispatch phones, outdoor emergency call boxes, novelty phones, and telephone testing equipment used by telephone linemen and installers. SKU: SP32. 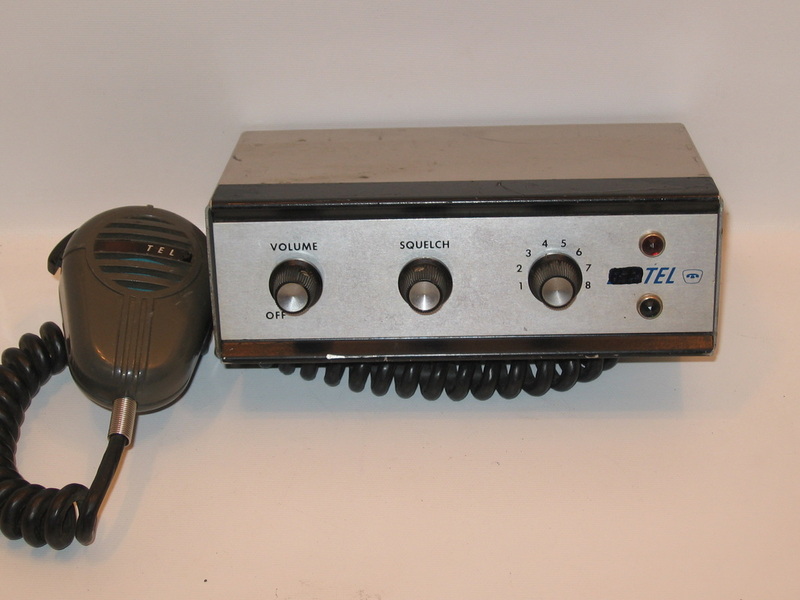 Car phone with mic and speaker. Black: quantity 1. Circa 1940. SKU: SP73. 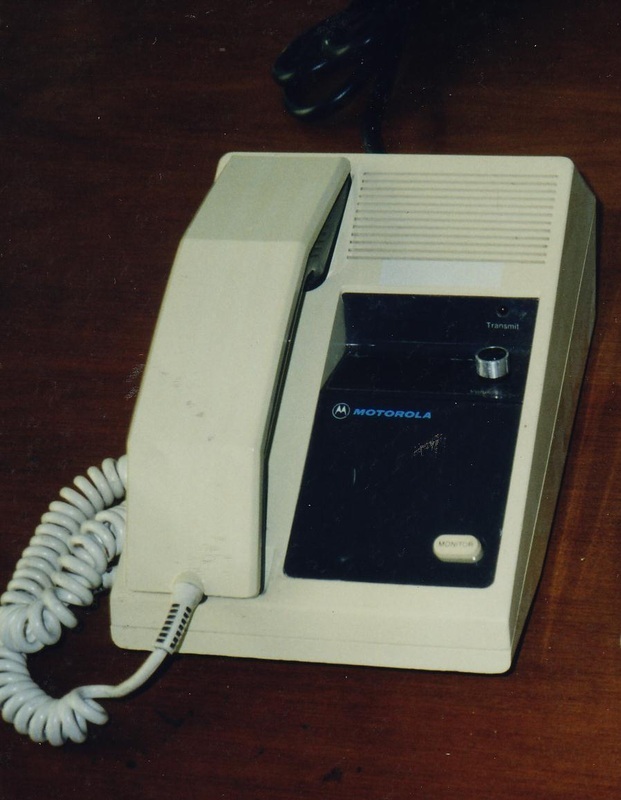 Motorola car phone. Ivory: quantity 1. Circa 1955. SKU: SP73. 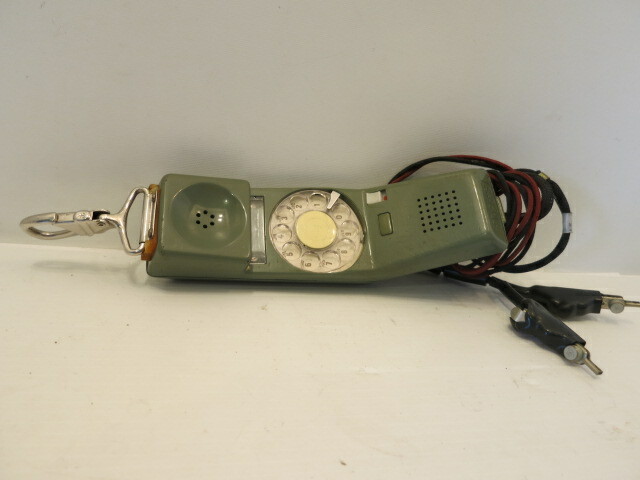 Motorola car phone With attached mic. Ivory: quantity 1. Circa 1965. SKU: SP69. 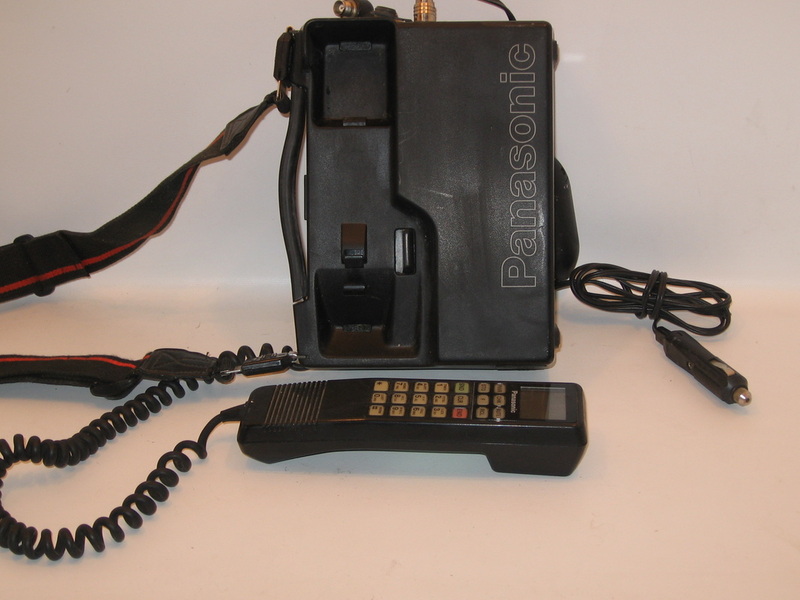 Car phone with mic. Grey and black: quantity 1. Circa 1970. SKU: SP34. 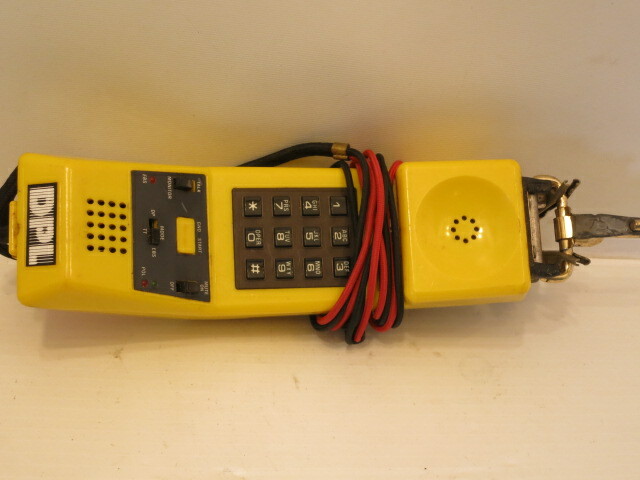 Autotel touch pad car phone. Ivory: quantity 1. Circa 1985. SKU: SP34. 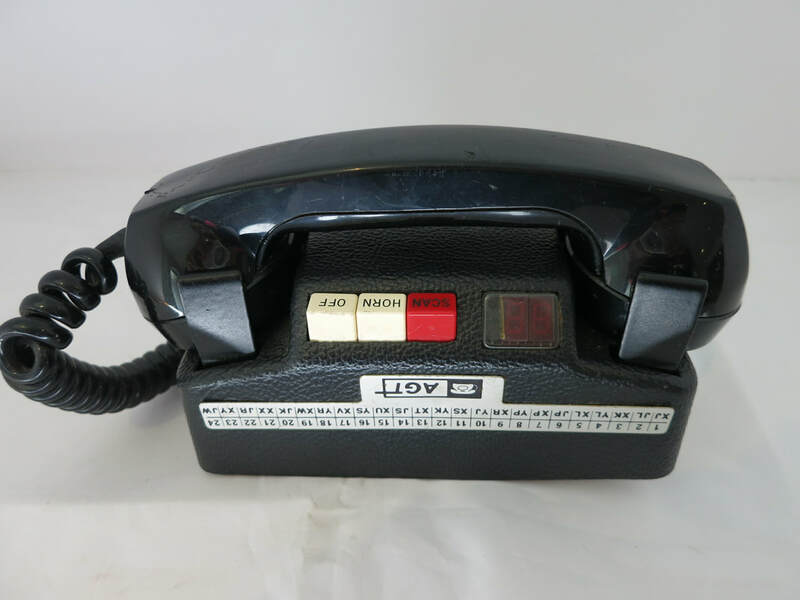 Autotel touch pad car phone. Black: quantity 3. Circa 1985. SKU: SP83. 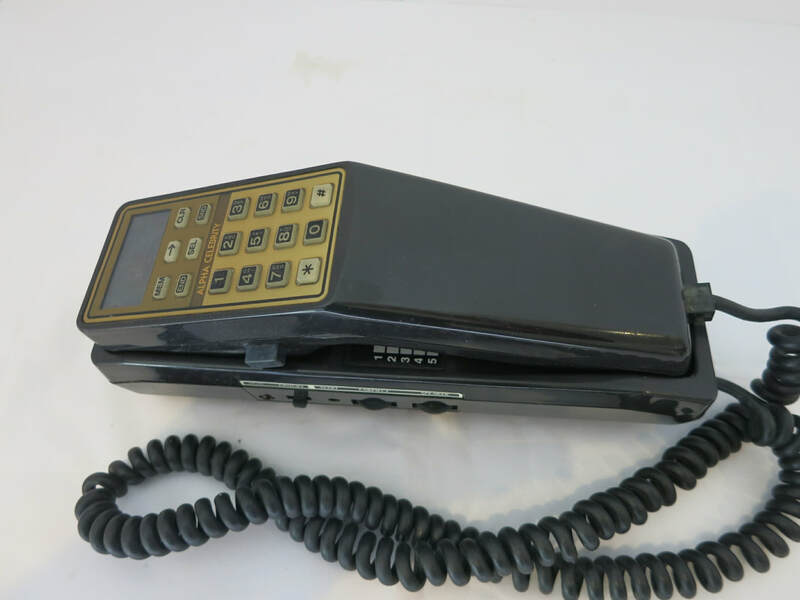 Alpha Celebrity car phone. Black with gold: quantity 1. Circa 1980's. SKU: SP83. 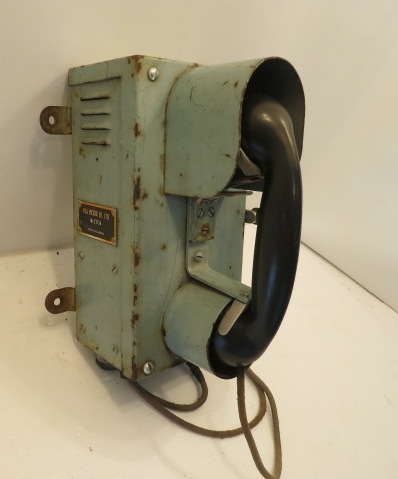 Alpha Celebrity car phone with receiving off hook. Black with gold: quantity 1. Circa 1980's. SKU: SP84. 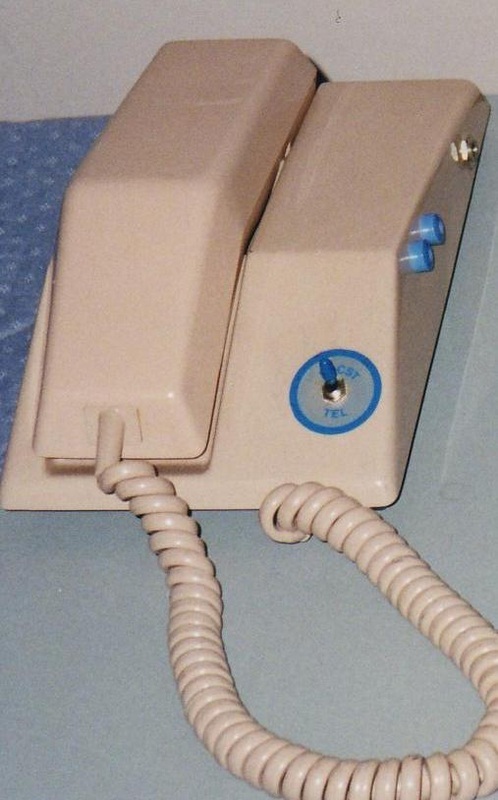 Mic with curly phone cord for car phones. Charcoal grey: quantity 4. Circa 1980's. SKU: SP22. 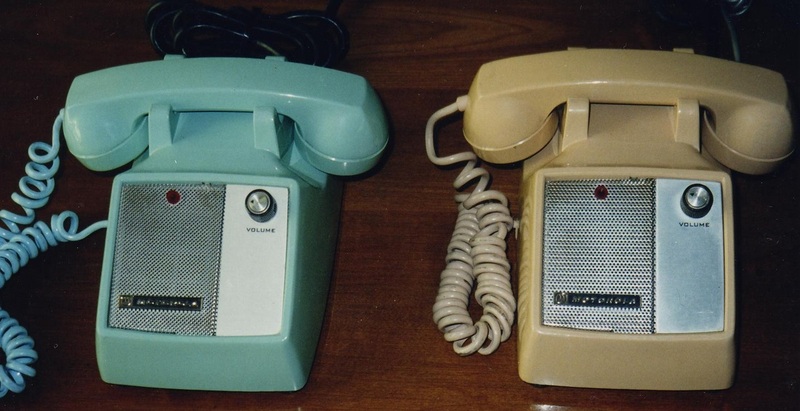 Mine phone with ringer box. Black: quantity 1. Circa 1940. SKU: SP08. 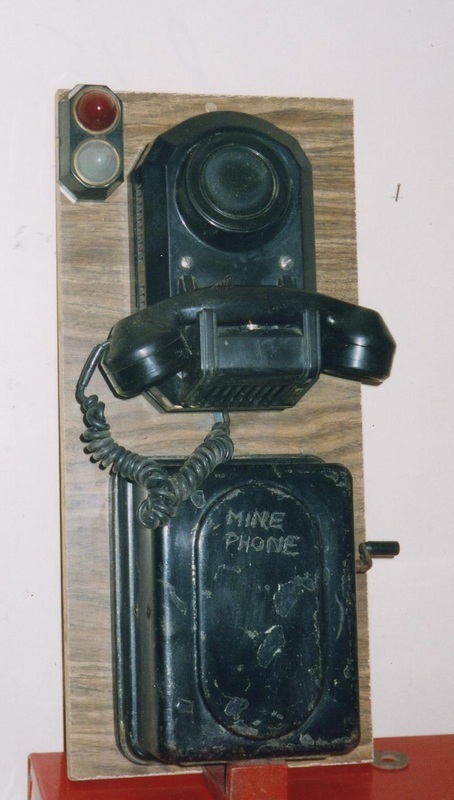 Mine phone. Grey & black: quantity 1. Circa 1950. SKU: SP03. 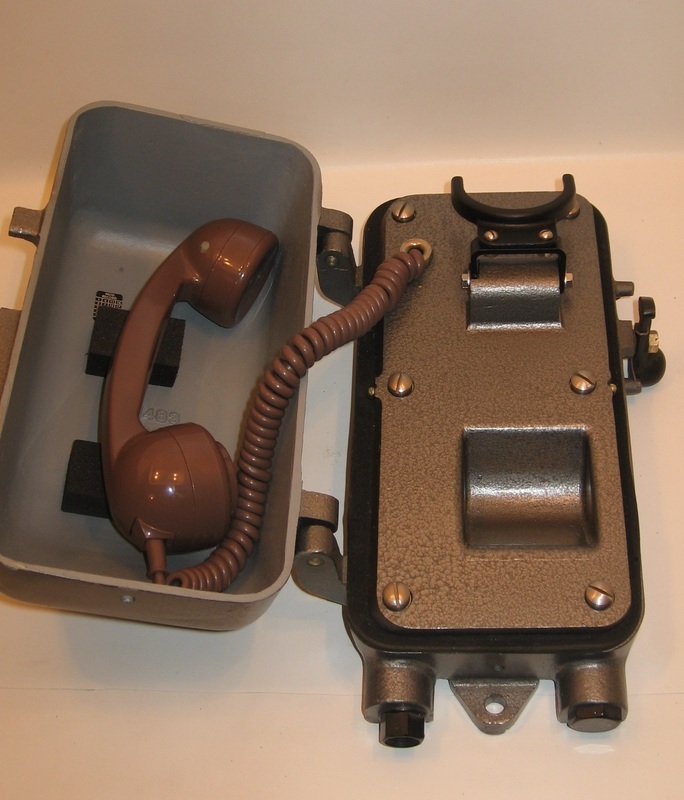 Aluminum explosion proof dial phone. Grey & black: quantity 1. Circa 1940. SKU: PPTC10. 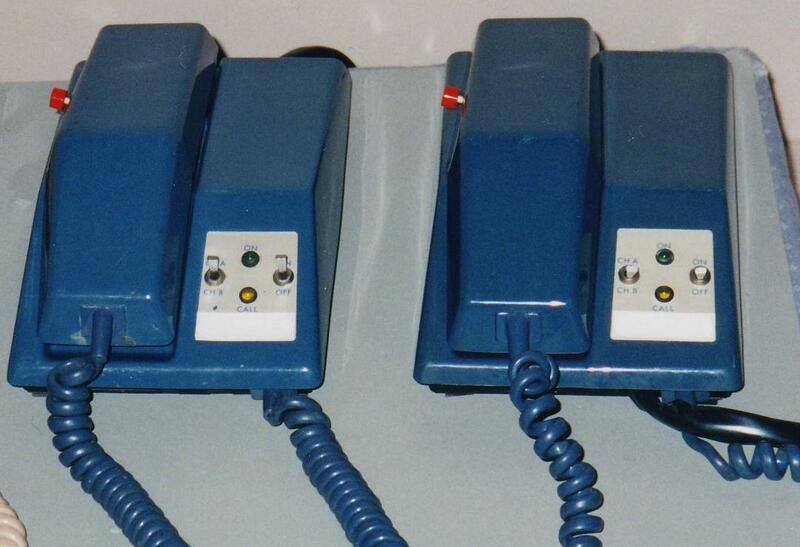 Touch call prisoner out-call phones. Blue: quantity 4. Circa 1980s. SKU: ICW29. 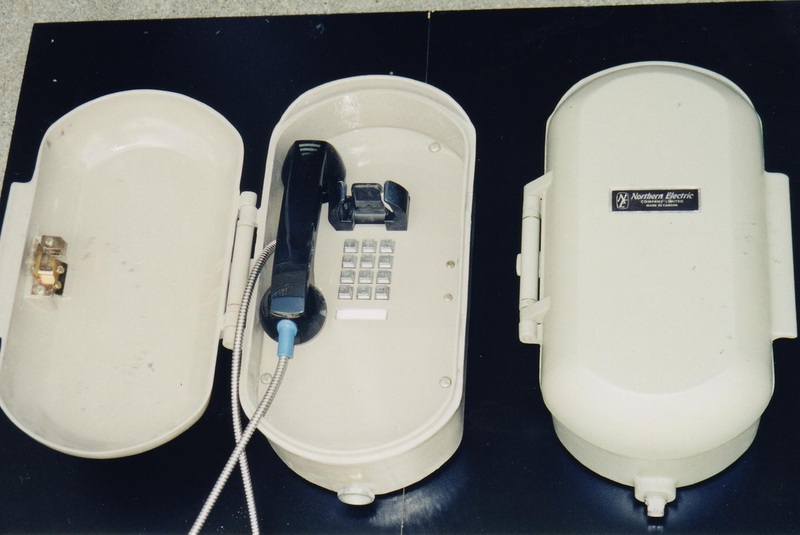 Prison visiting wall phones with armoured cord. Stainless steel and black: quantity 6. Circa: 1980. SKU: ICW34. 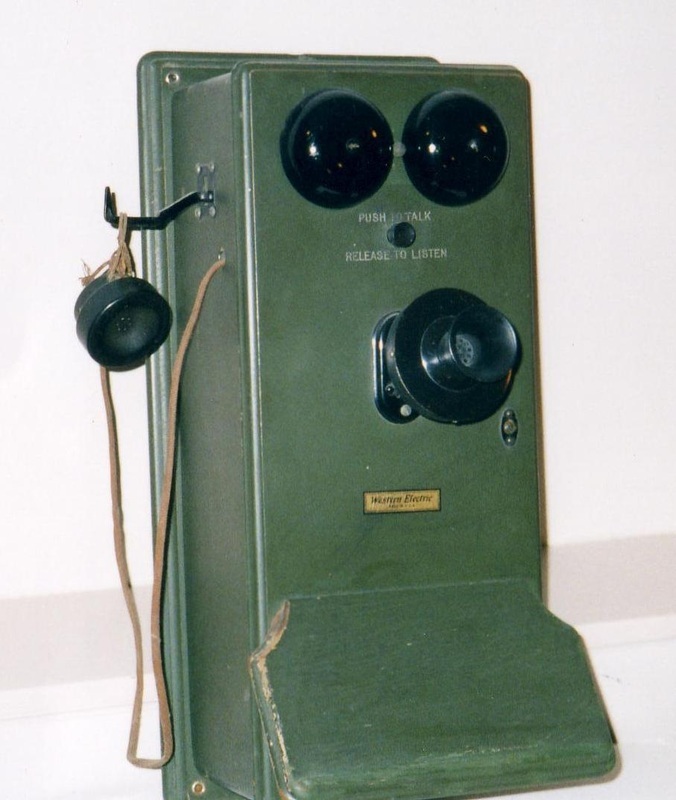 Prison/police visitor phone & armoured cord. Black: quantity 1. Circa 1940. SKU: ICW26. 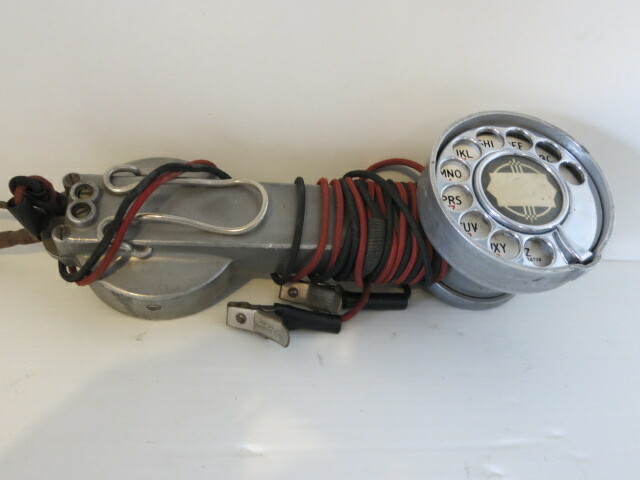 Prison/police visitor phone & armoured cord. Black: quantity 12. Circa 1970. SKU; WPW1B16. WE Fiddleback with howler. Oak: quantity 1. Circa 1920. SKU: WPW2B07. 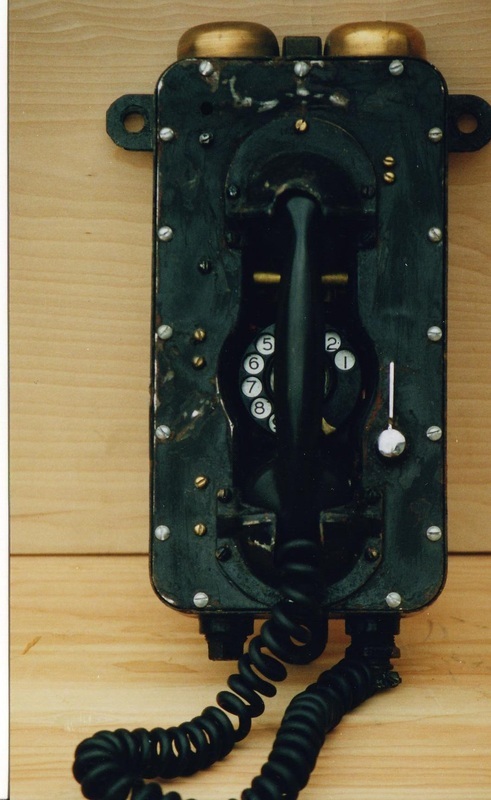 Consolidated 2-box wall phone Used on railroads - telegraph key on bottom. Walnut: quantity 1. Circa 1890. SKU: WPW1B10. 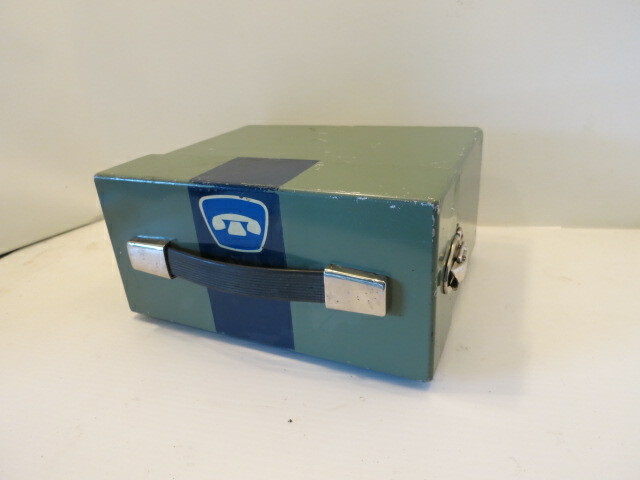 WE railroad 1-box wall phone . Green maple: quantity 1. Circa 1930. SKU: BE09. 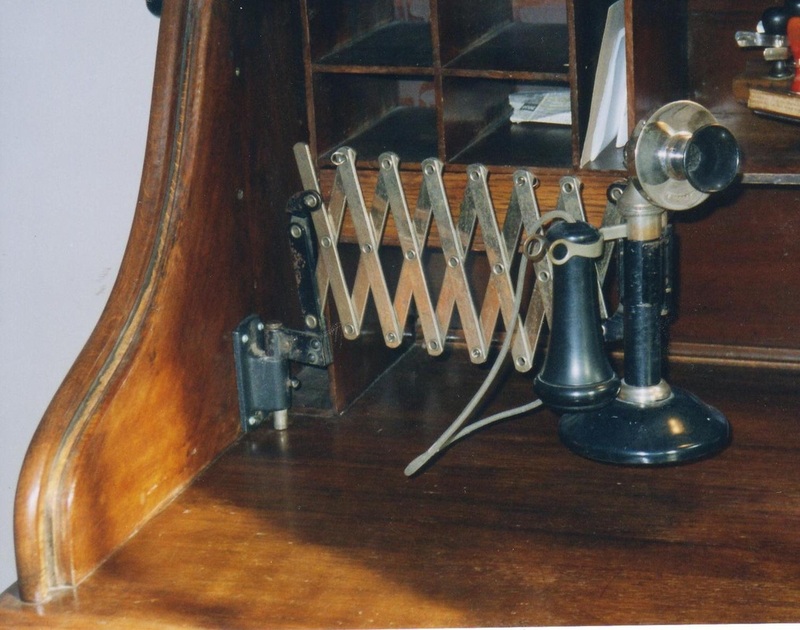 Scissor bracket used for train dispatch - shown with non-dial candlestick phone. Black & chrome: quantity 4. Circa 1920. SKU: SP10. 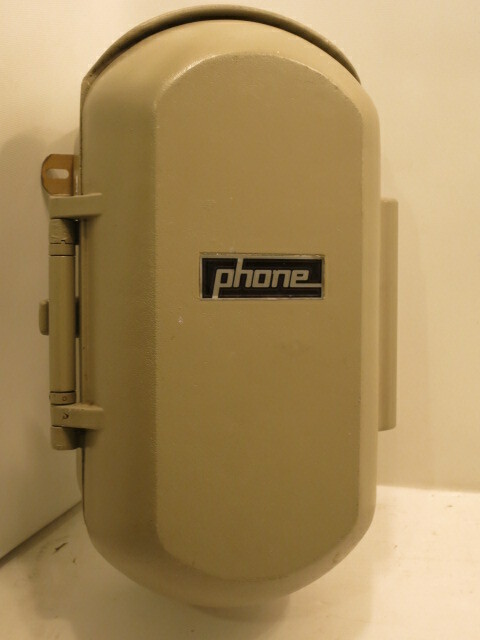 AE ship phone . Black metal - quantity 1. Circa 1950. SKU: SP11. Ship master station large . Grey: quantity 1. Circa 1950. SKU: SP12. Ship master station - small . Grey - quantity 1. Circa 1950. SKU: SP25. 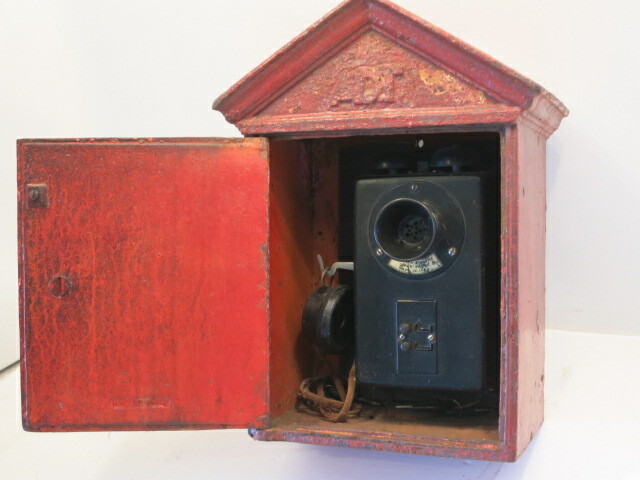 Ship phone - shown in 2 views. Grey: quantity 1. Circa 1950. SKU: SP26. 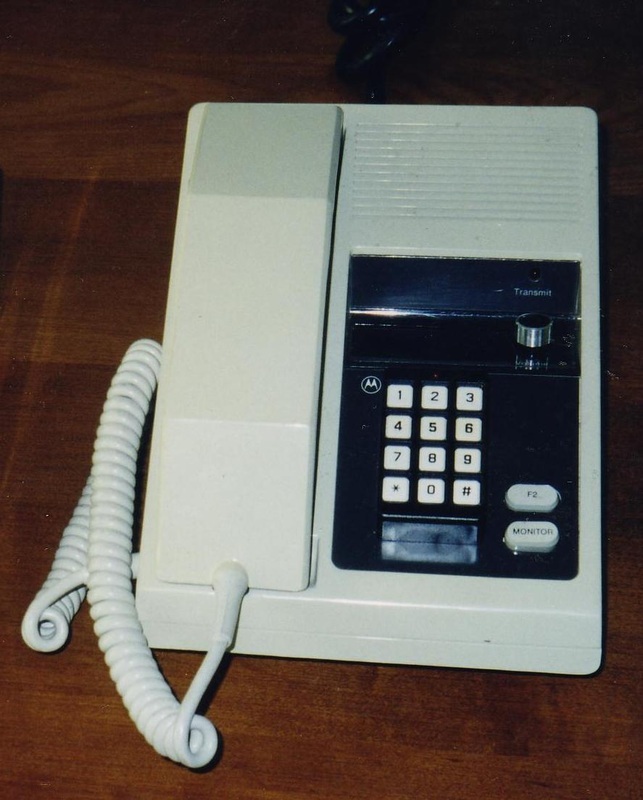 Stromberg Carlson ship phone . Grey: quantity 1. Circa 1950. SKU: SP27. 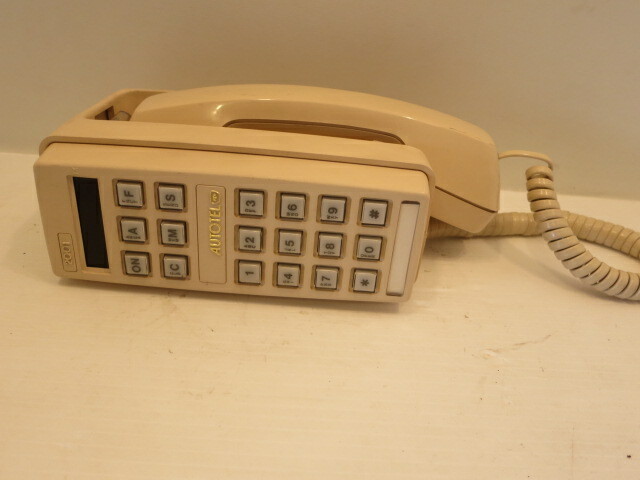 Stromberg Carlson ship phone with numbered dial. Grey: quantity 1. Circa 1950. SKU: SP46. 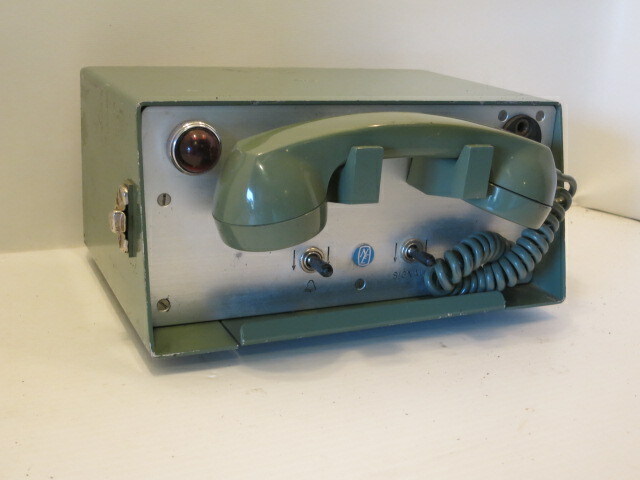 Aircraft carrier phone . Red - quantity 1. Circa 1985. SKU: SP48. 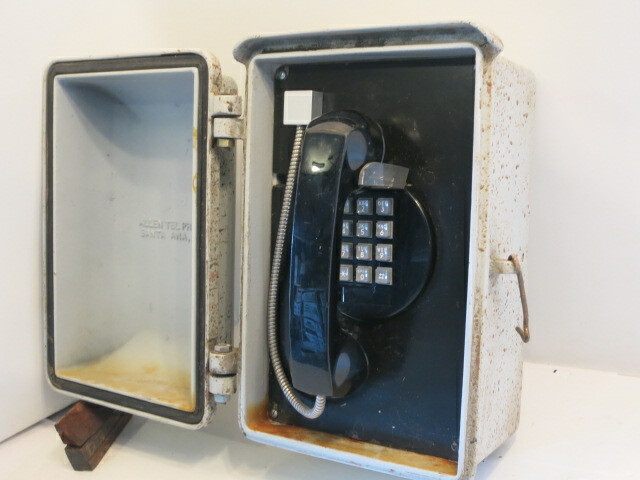 Porcelain ship phone. Blue: quantity 1. Poland. Circa 1940. SKU: SP13. 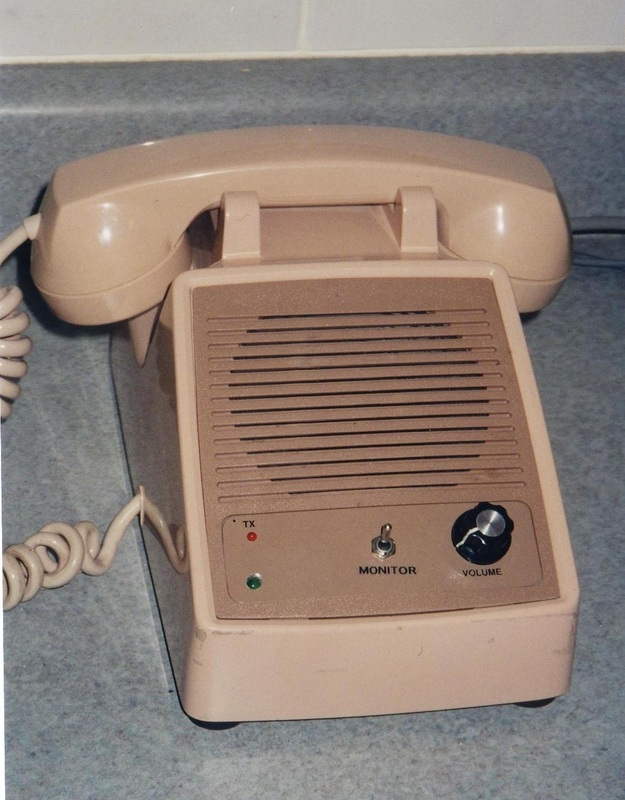 NE radio dispatch phone . Black: quantity 1. Circa 1950. SKU: SP15. 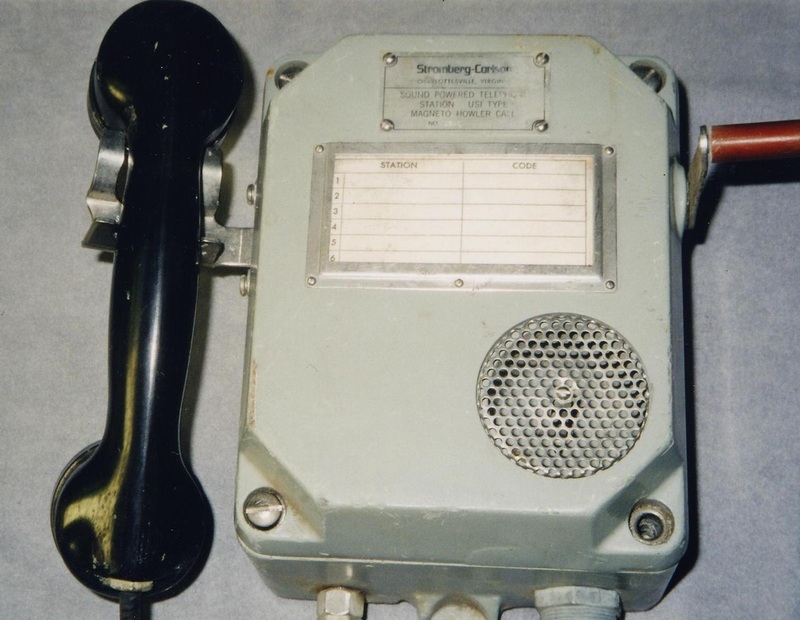 WE radio dispatch phone. Beige: quantity 2. Circa 1960. SKU: SP16. 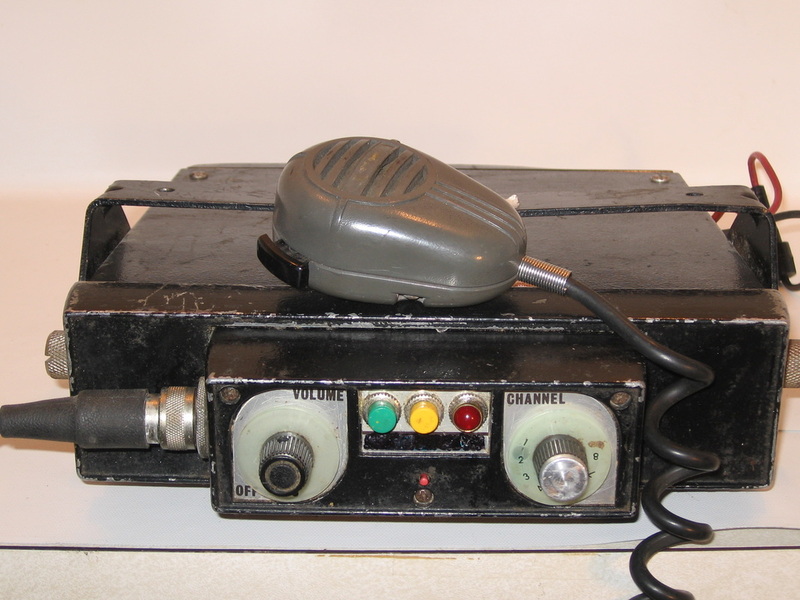 Motorola radio dispatch phone. Blue (1), beige (2). Circa 1960. SKU: SP17. 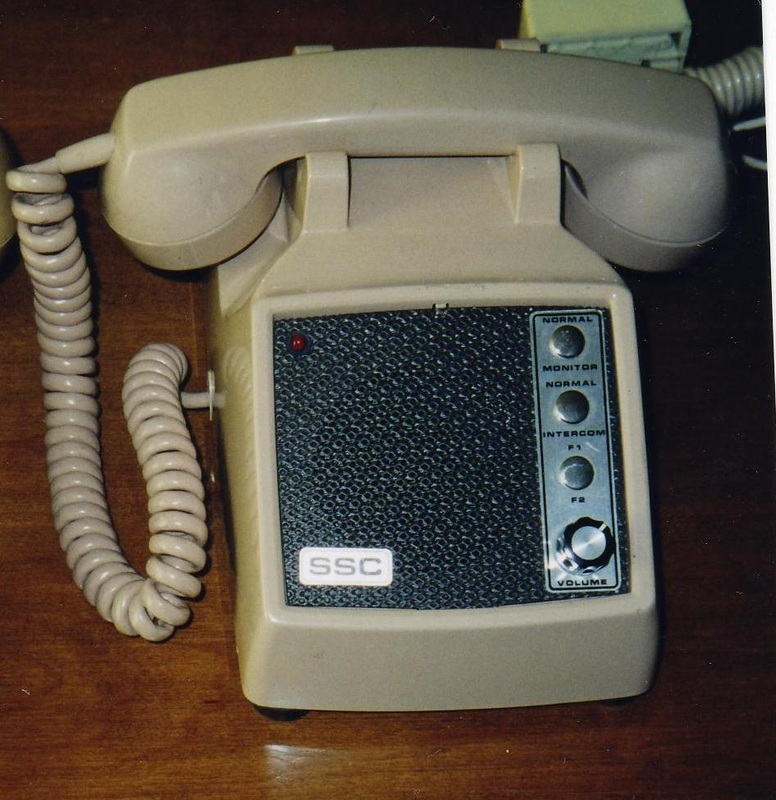 SSC radio dispatch phone . Beige: quantity 2. Circa 1960. 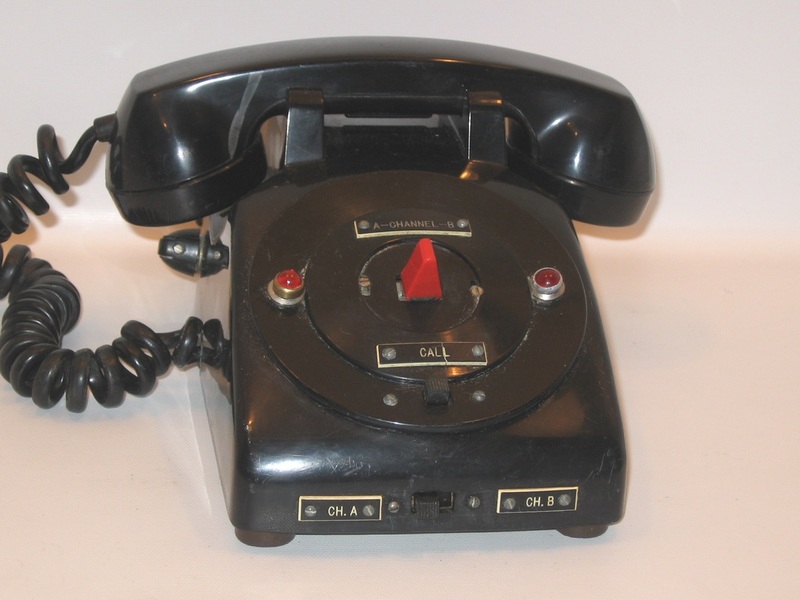 SKU: SP01 Dial radio dispatch phone. Beige: quantity 1. Circa 1970. SKU:SP01. 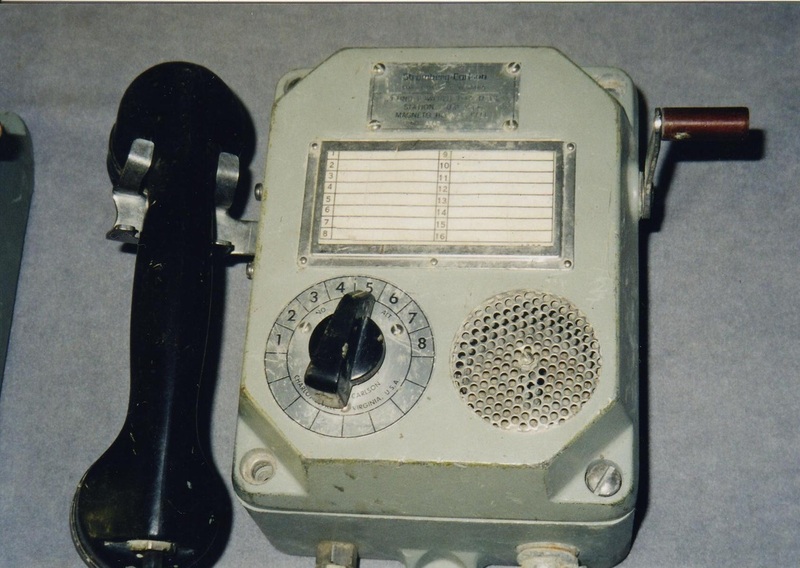 Dial radio dispatch phone. Orange: quantity 1. Circa 1970. SKU: SP01. 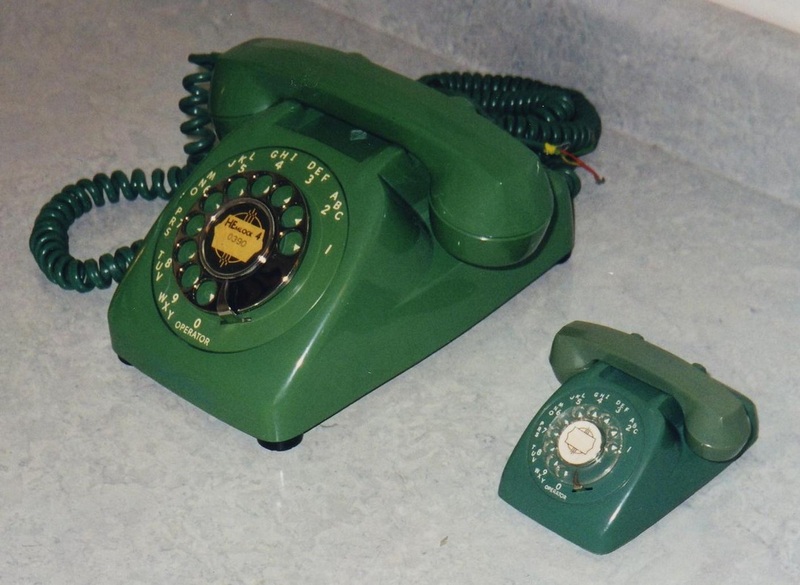 Dial radio dispatch phone. Blue: quantity 6. Circa 1970. SKU: SP01. 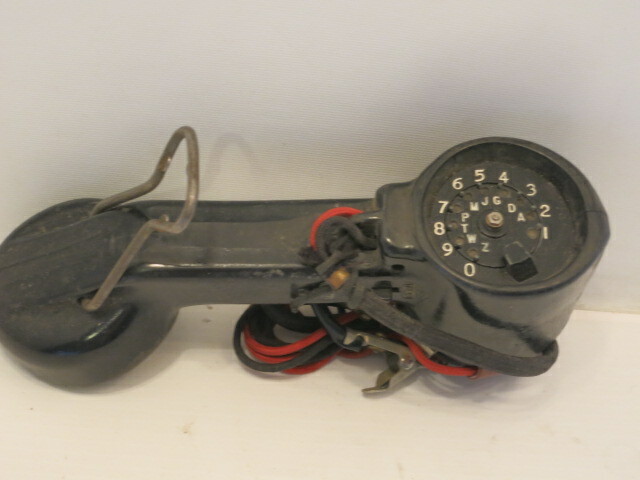 Dial radio dispatch phone. Red: quantity 3 . Circa 1970. SKU: SP74. 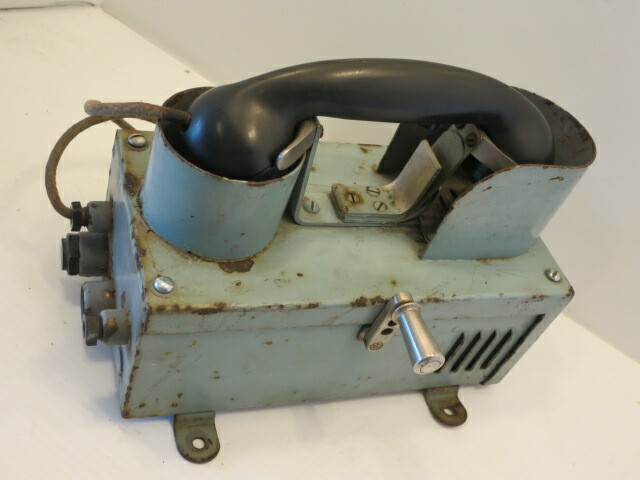 NE large portable radio phone with carrying case on. Green: quantity 2. Circa 1970. SKU: SP74. 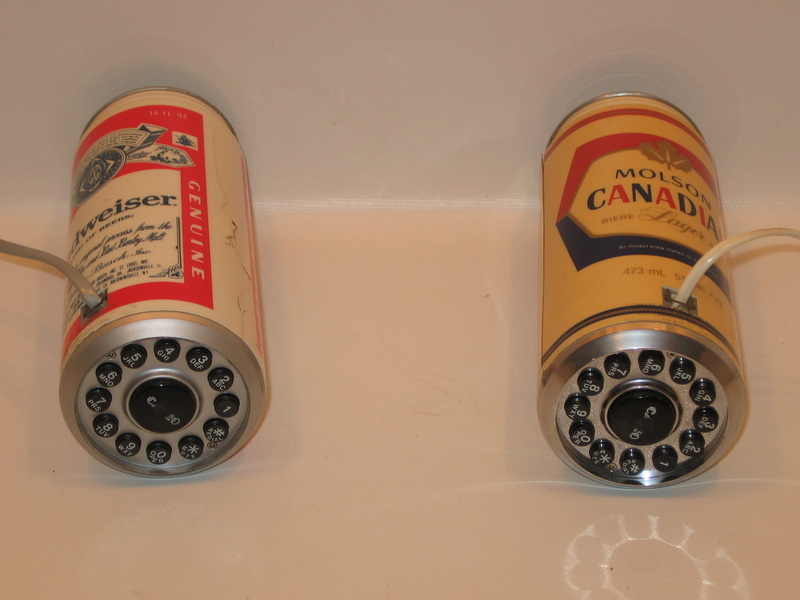 Shown with case off. SKU: SP38. 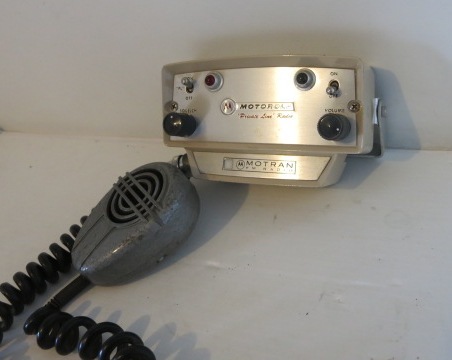 Motorola non-dial radio dispatch phone . Ivory: quantity 1. Circa 1985. SKU: SP39. 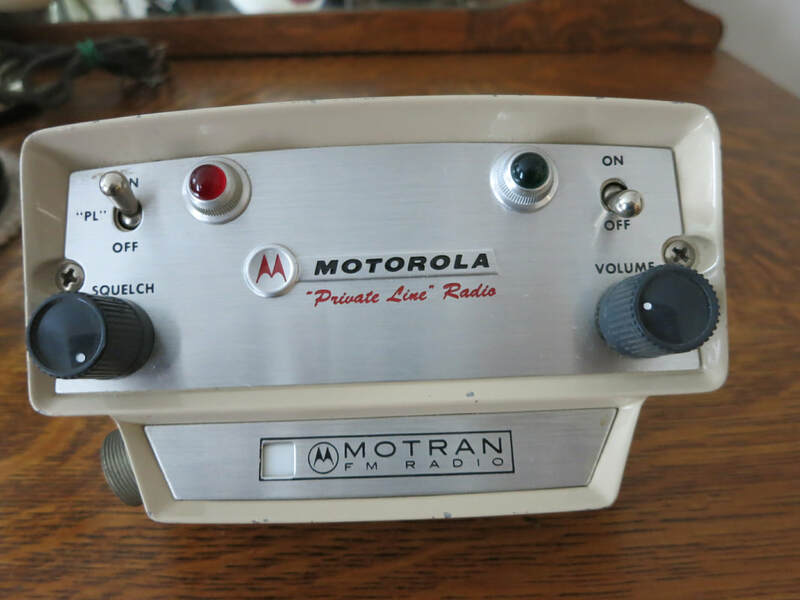 Motorola touch call radio dispatch phone. Ivory: quantity 1. Circa 1985. SKU: SP40. 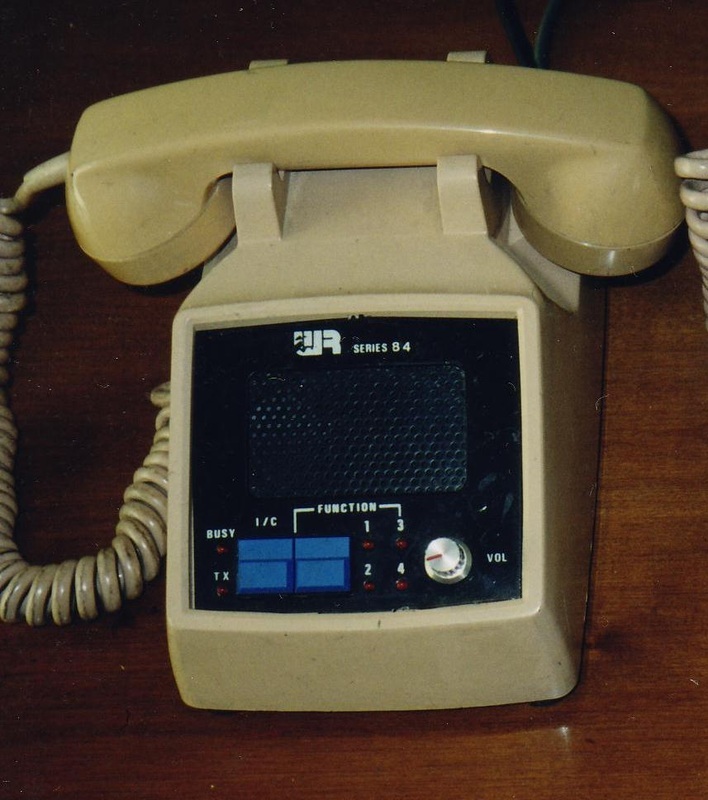 ITT radio dispatch phone . Beige: quantity 4. Circa 1985. SKU: SP66. 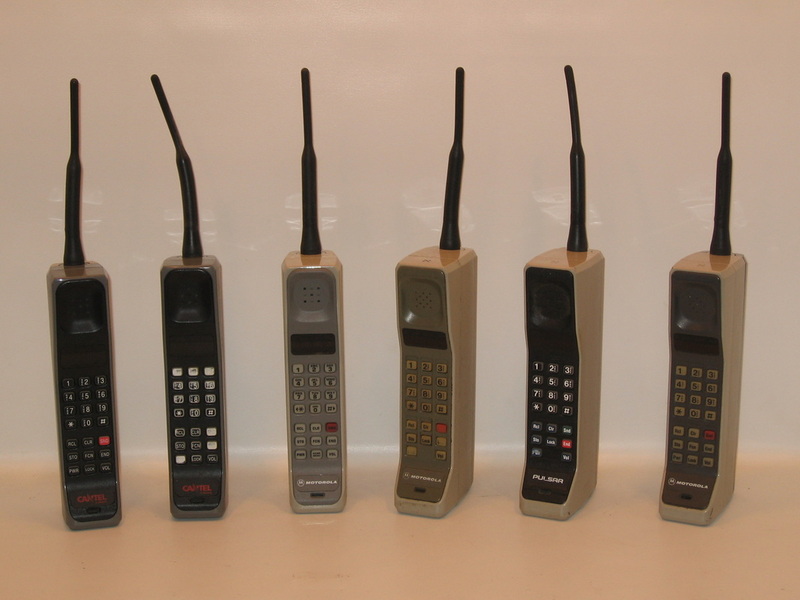 "Brick" cell phones & cases. Grey: quantity 8. Circa 1980. SKU: SP66. 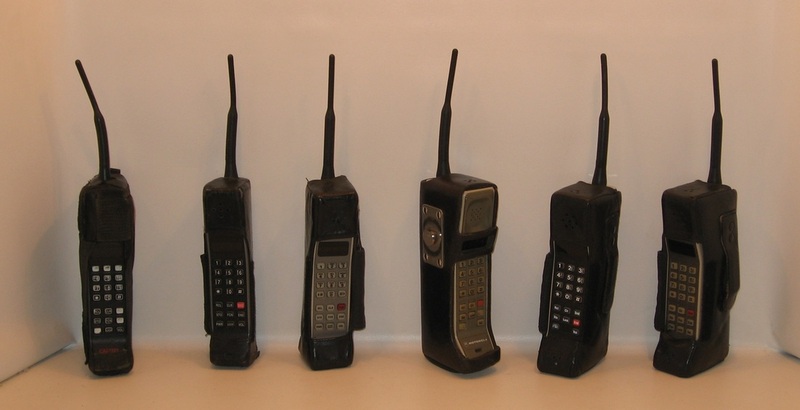 "Brick" cell phones. SKU: SP66. 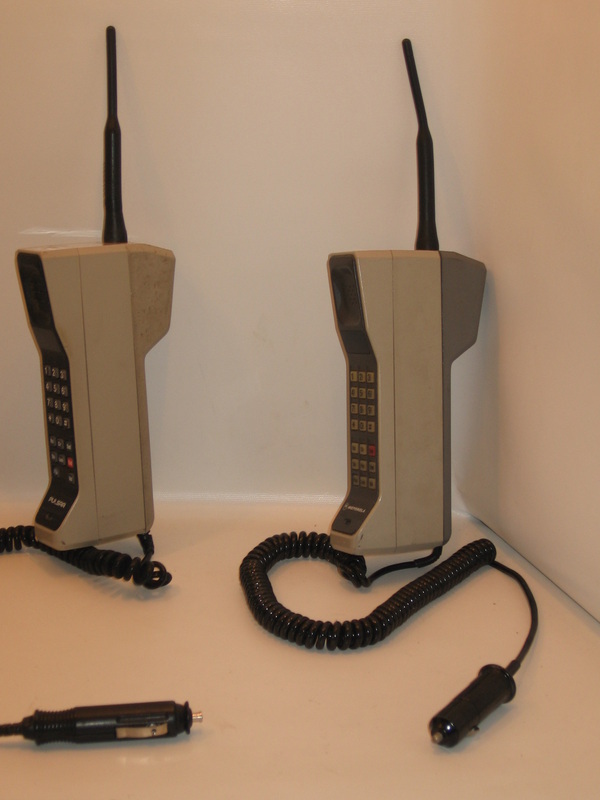 "Brick" cell phones with cases. SKU: SP68. 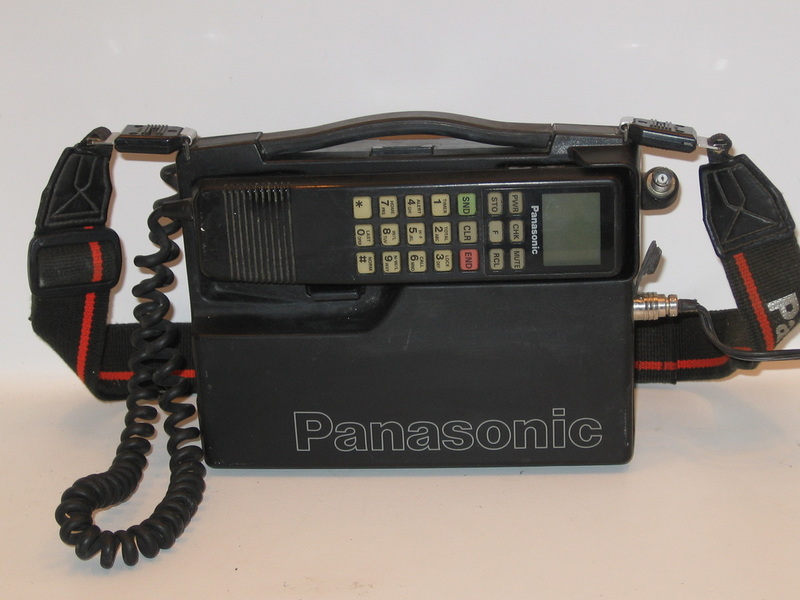 Panasonic portable cell phone. Black: quantity 1. Circa 1990. 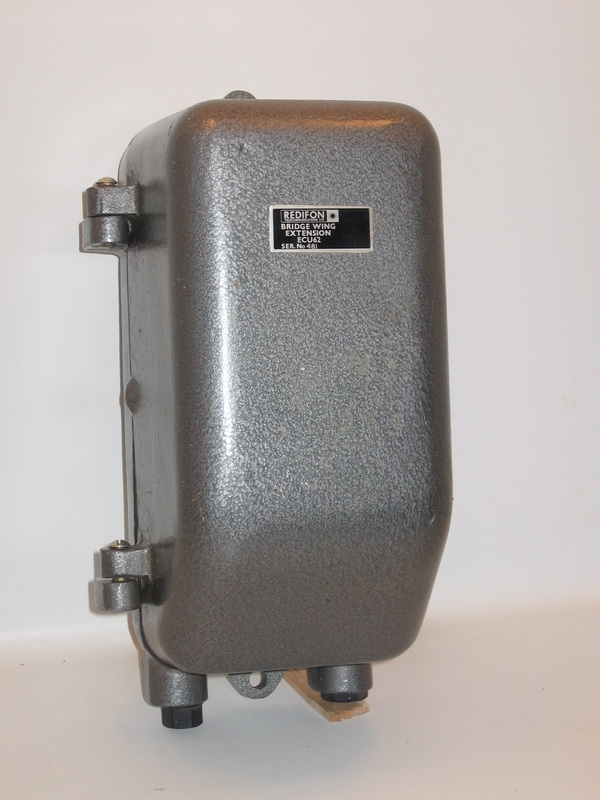 SKU: SP68 with receiver off. SKU: SP67. Flip phones. Quantity 15 assorted. Circa 1990s. SKU: SP50. 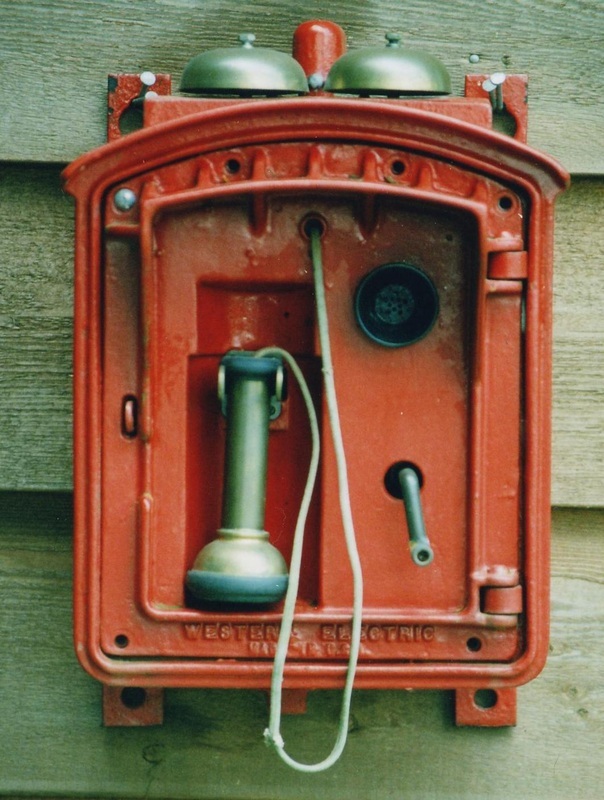 Emergency call box. Red: quantity 1. Circa 1930. SKU: SP07 . 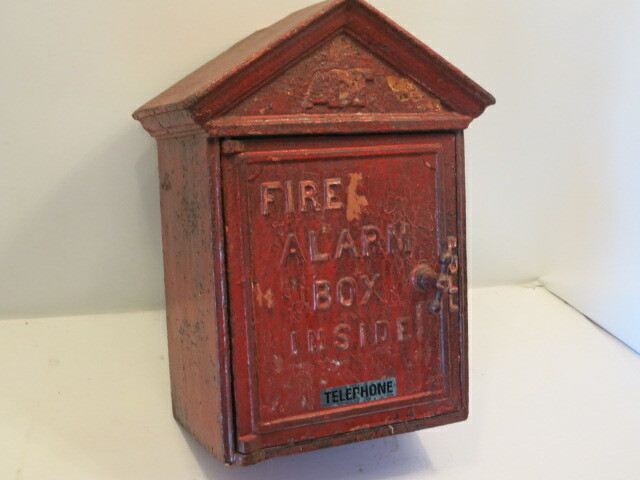 Fire alarm box with door open. 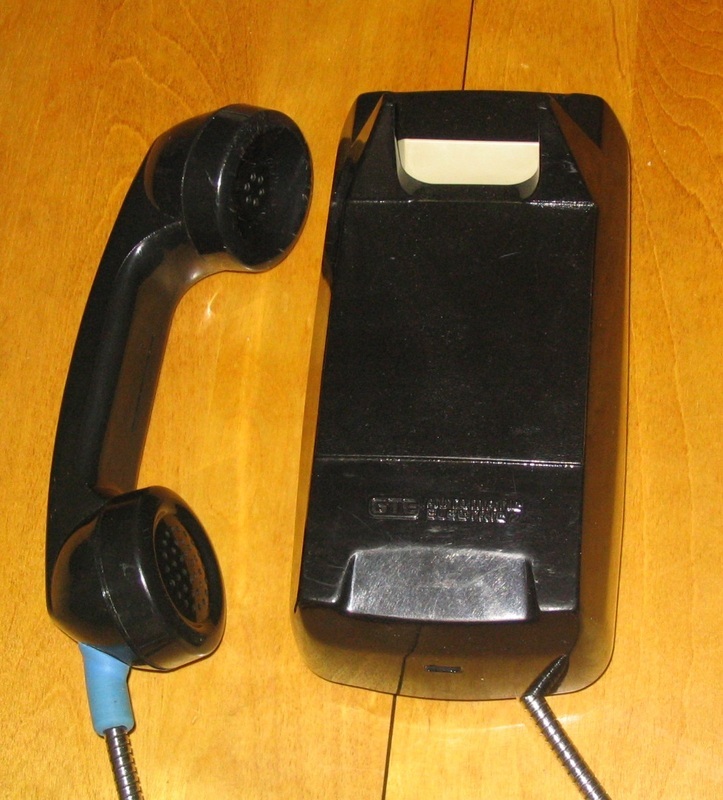 Shown with small black non-dial phone. Red: quantity 1. Circa 1940. SKU: SP07. Fire alram bos with door closed. SKU: SP54. 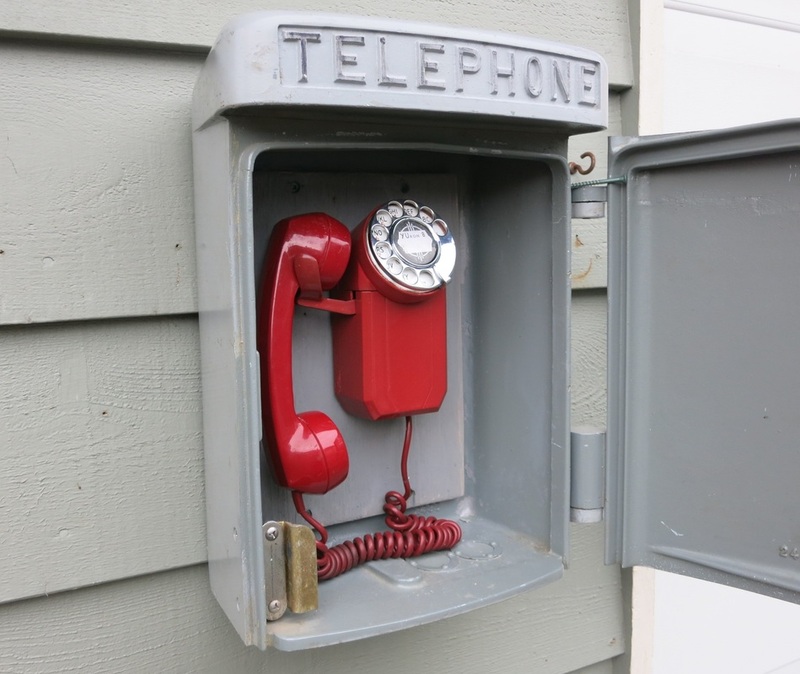 First Aid Ski Patrol (FASP) emergency phones used on Whistler Mountain. Maple: quantity 7. Circa 1950. SKU: SP63. 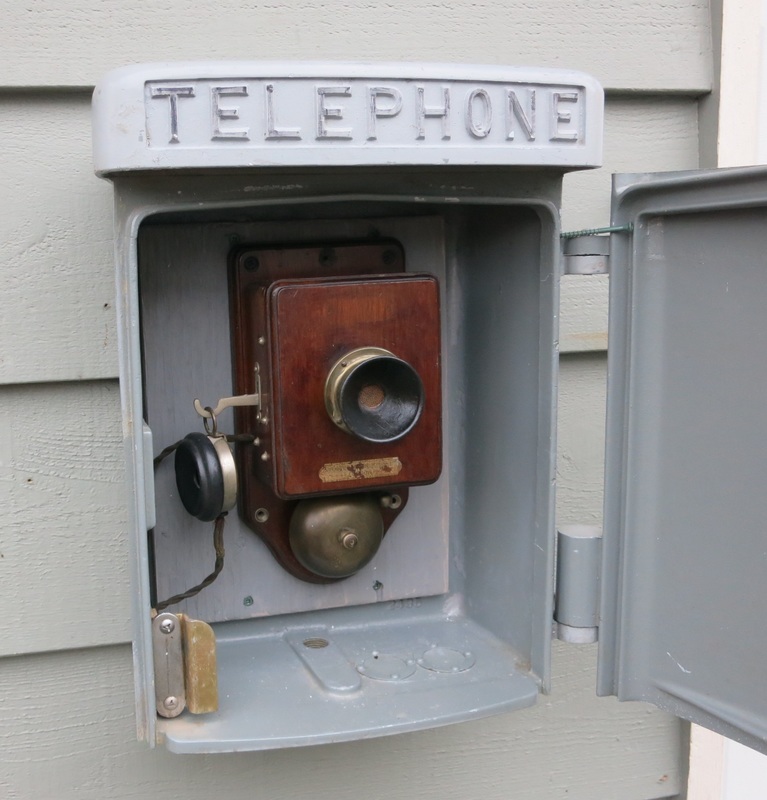 Outdoor call box - shown with door closed. Grey: quantity 1. Circa 1960. SKU: SP63. 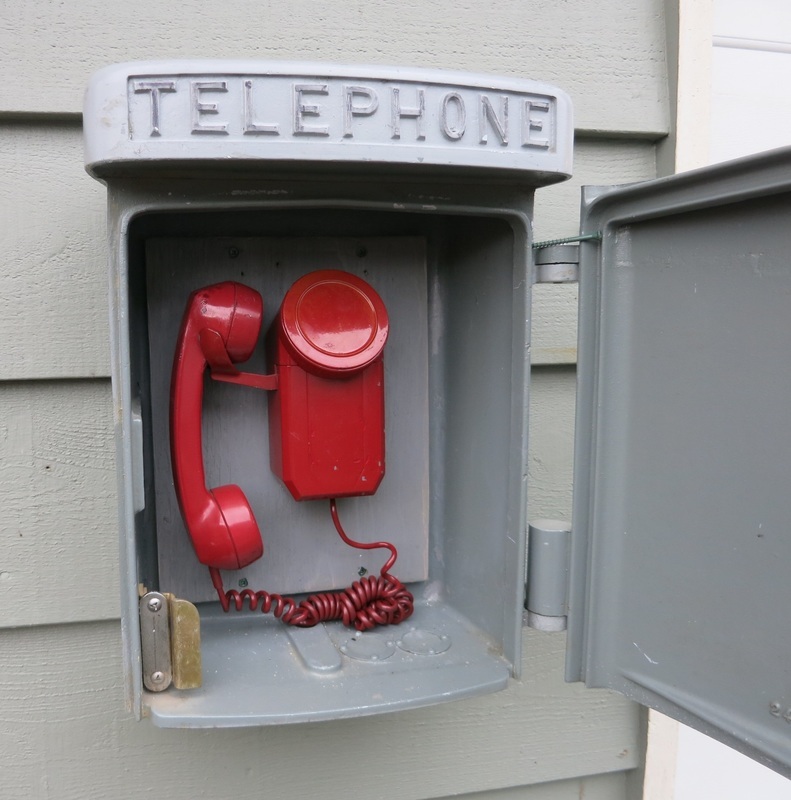 Outdoor call box with door open. SKU: SP19. 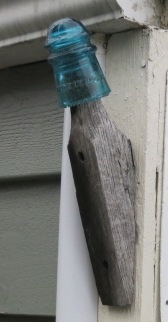 Wall mount outdoor security with armoured cord. Stainless: Quantity 2. Circa 1980. SKU: SP09. 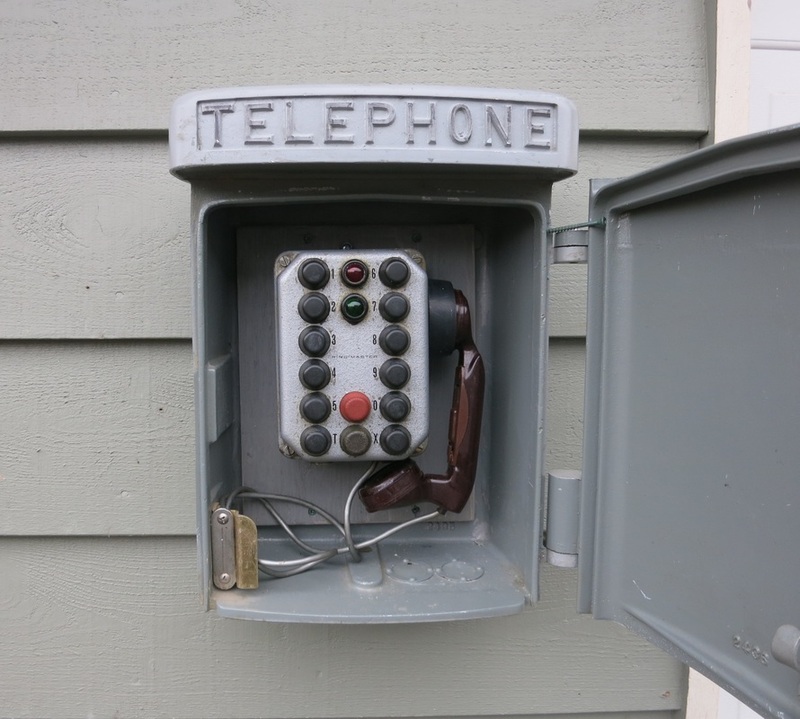 Tronics outdoor call box - touch call. Red: quantity 1. Circa 1980. SKU: SPO6 . 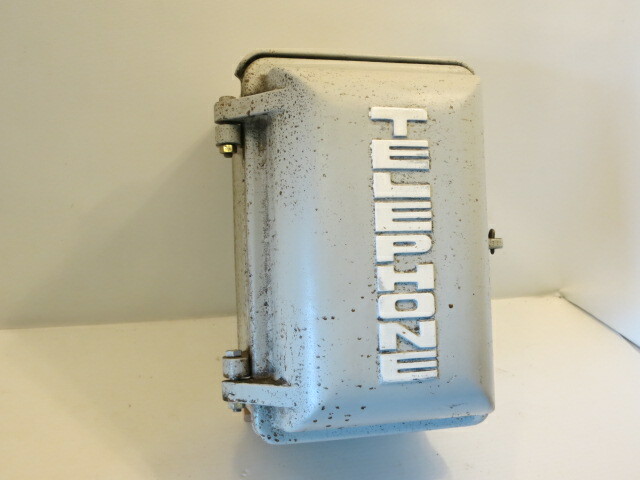 NT outdoor call box . 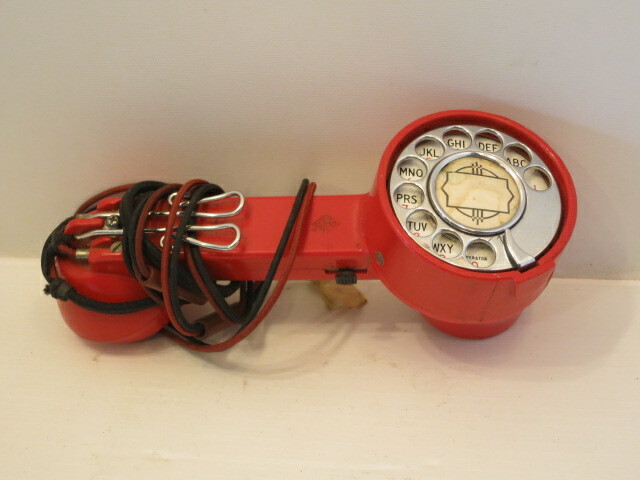 Shown with red non-dial phone with cover open and closed. Grey: quantity 1. Circa 1950. SKU: SP06. Shown with cover closed. SKU: SP06. 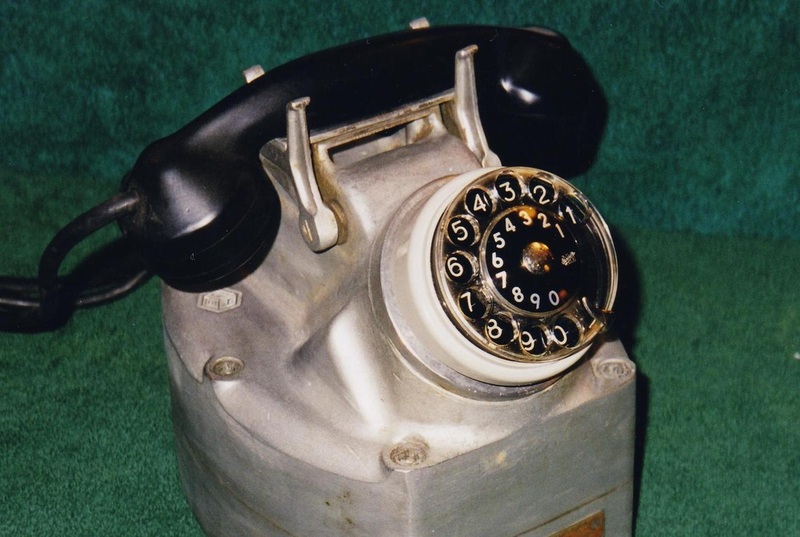 Shown with black dial phone. SKU: SP06. 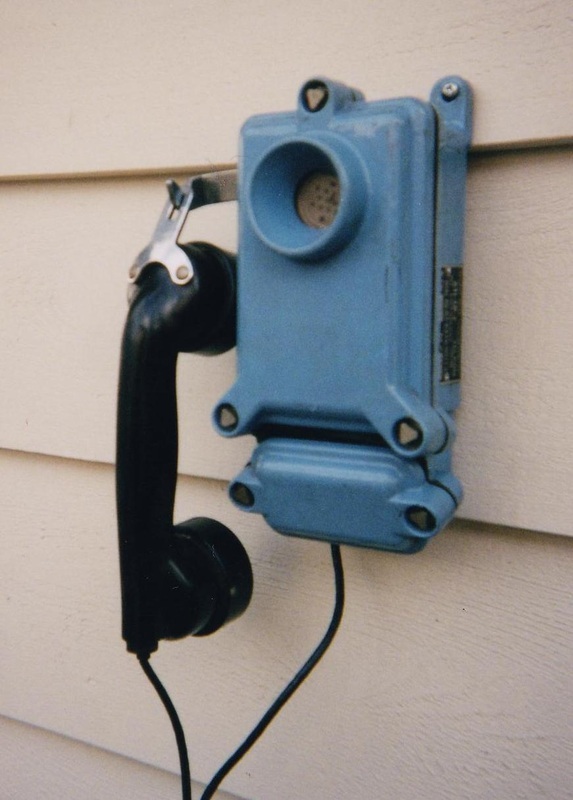 Touch call outdoor call box. Grey: Quantity 1. SKU:SP72. 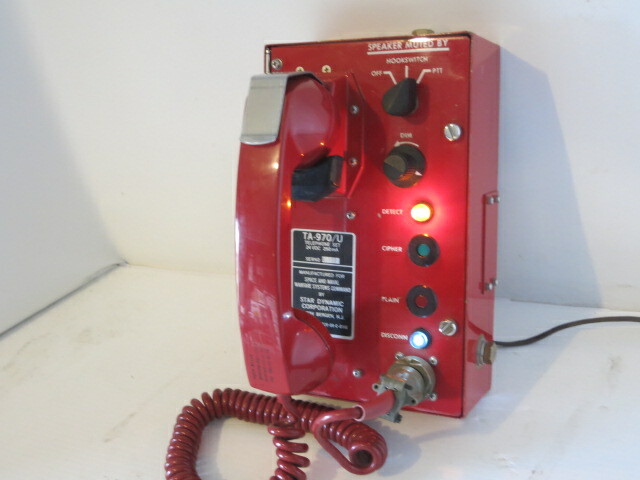 Allen outdoor call box with touch call phone. Grey: quantity 1. Circa 1970. SKU: SP72. 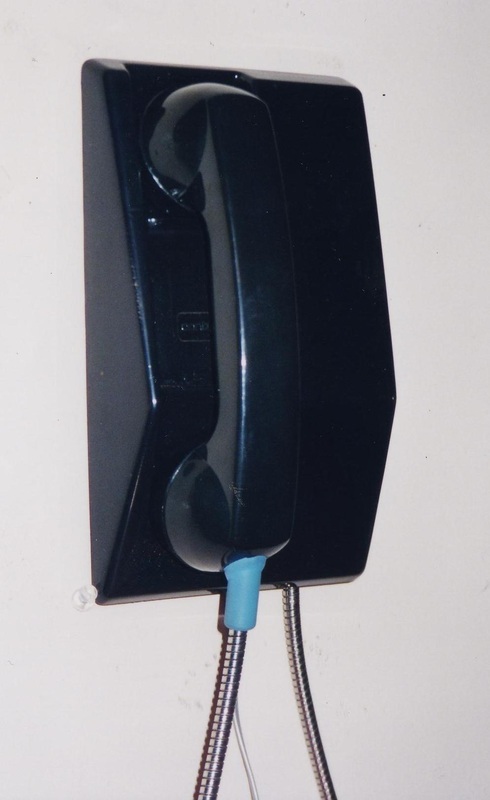 Shown with door open and black touch call phone. SKU: SP80. 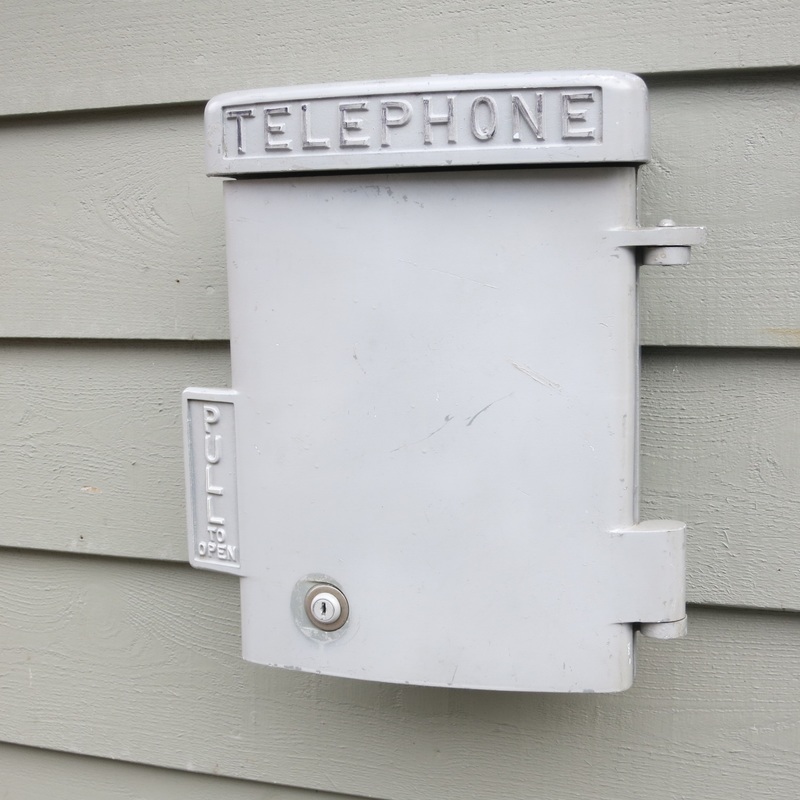 Exterior weather proof call box. Grey: quantity 1. Circa 1950. SKU: SP80. 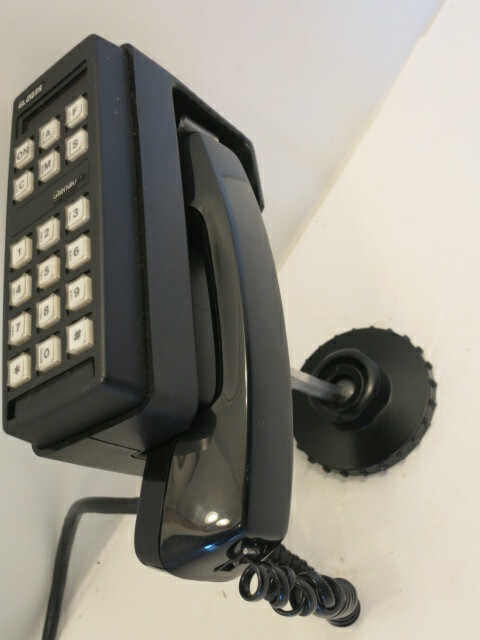 Call box with 15 button wall intercom. 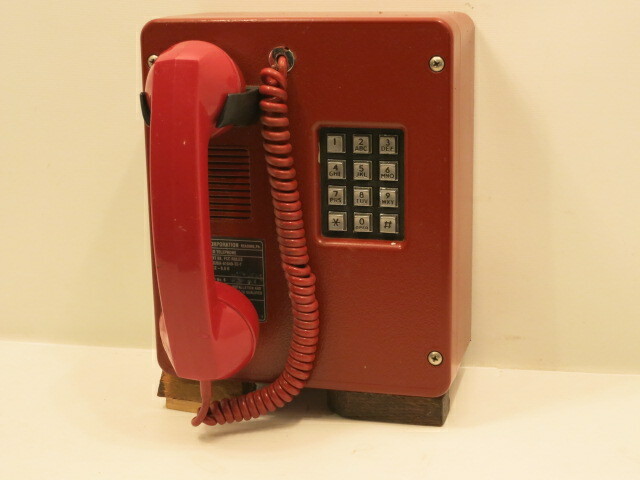 SKU: SP80 call box with metal dial red wall phone. 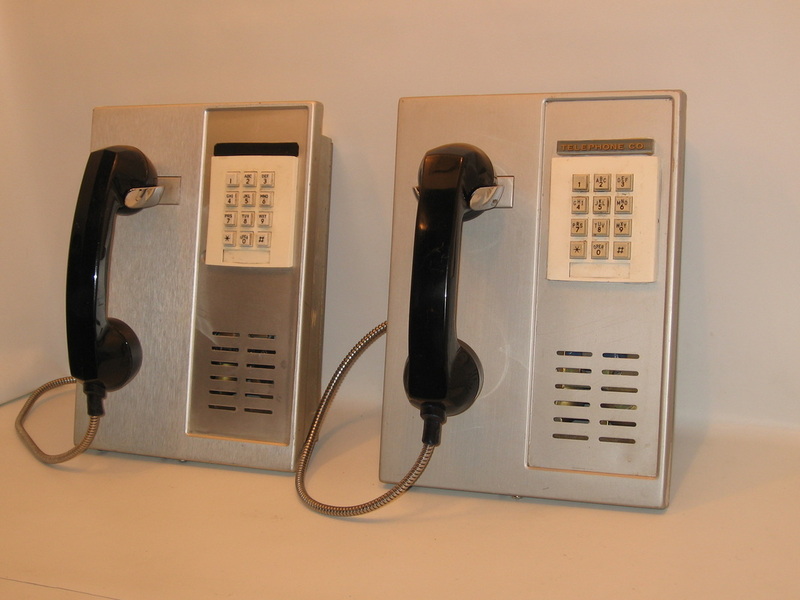 A variety of phones can be used with this call box - see examples above & below or choose from others in this section or in the Wall Phone or Wall Intercom section. ​SKU: SP80. With mine phone. SKU: SP80. 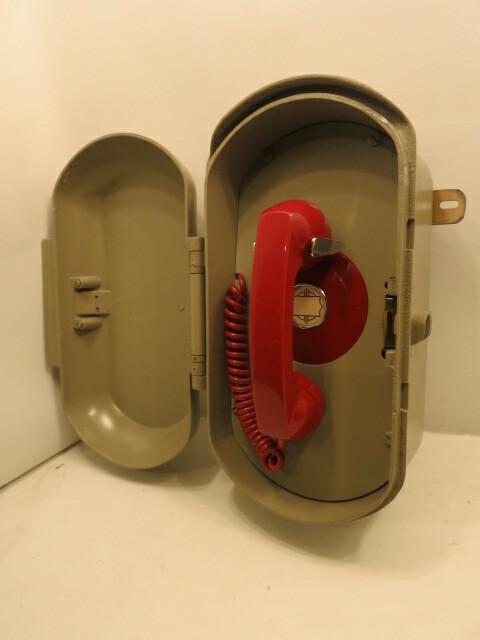 Call box with non dial metal red wall phone. SKU: SP80. 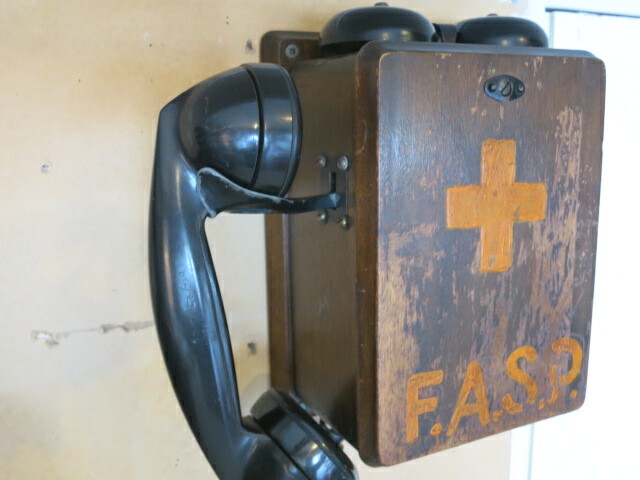 Call box with wood wall intercome. SKU:SP53. 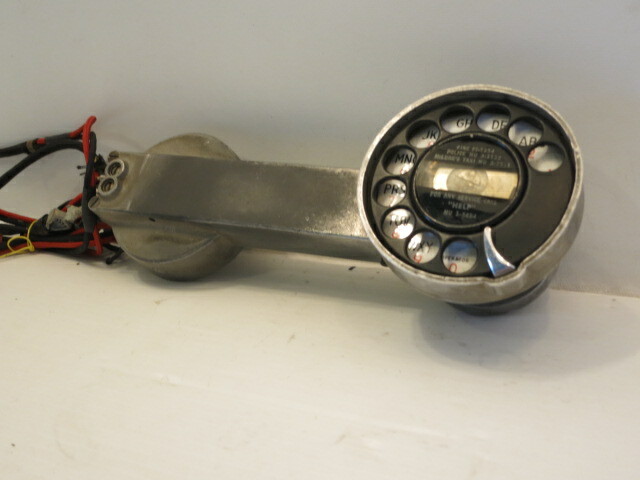 "Salesman's sample" - small replica of original phone. Green: quantity 1. Circa 1955. SKU: SP75 . Miniature telephone pen holder - WE company give-away promotion. Green: quantity 1. SKU: SP76 . 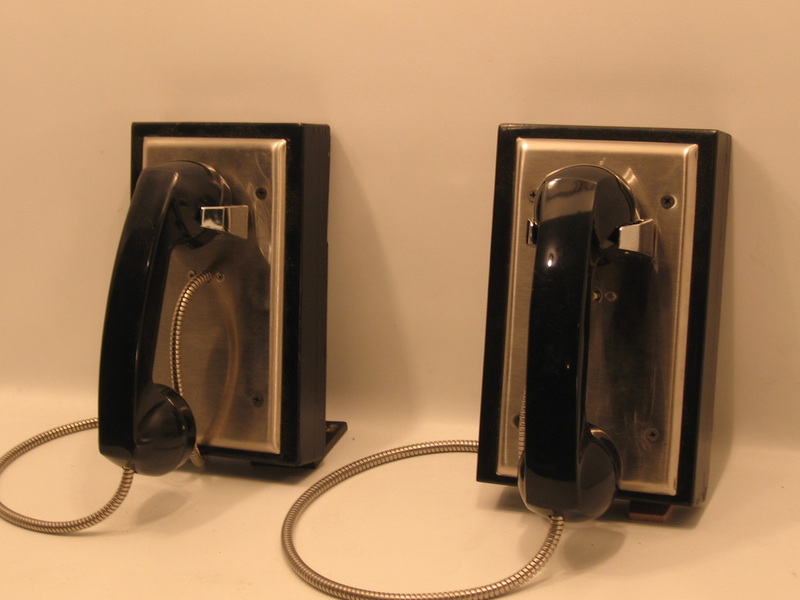 Miniature telephone - AE Starlight give-away promotion. Ivory: quantity 1. SKU: SP29. 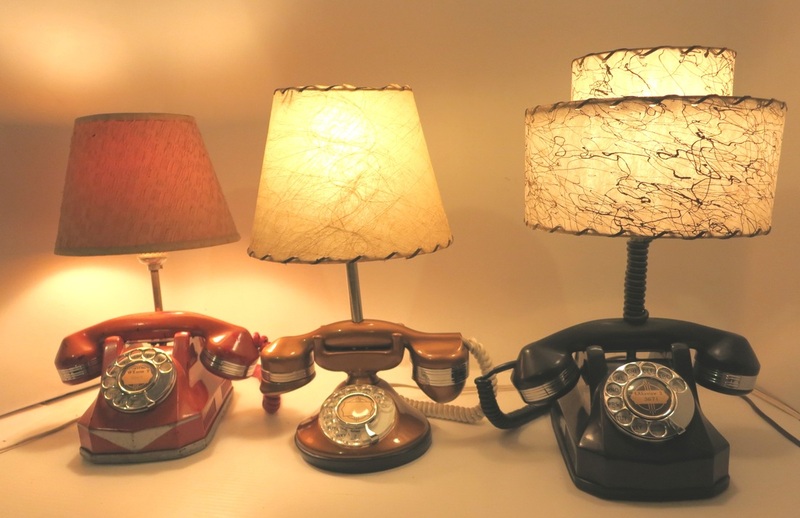 Phone lamp. 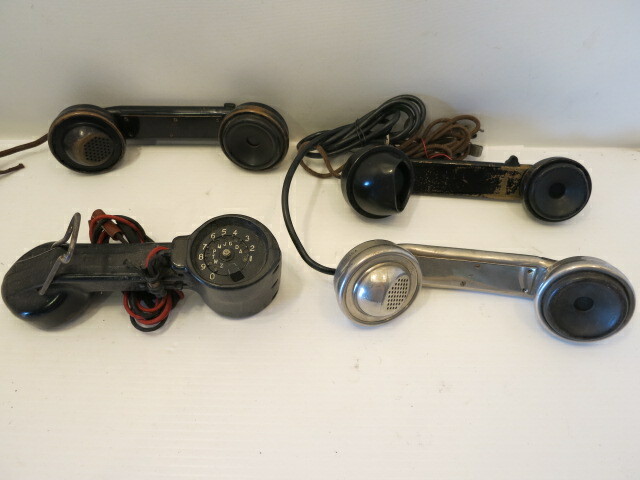 Red (1), gold (2), black (1). Circa 1940. SKU: SP29. 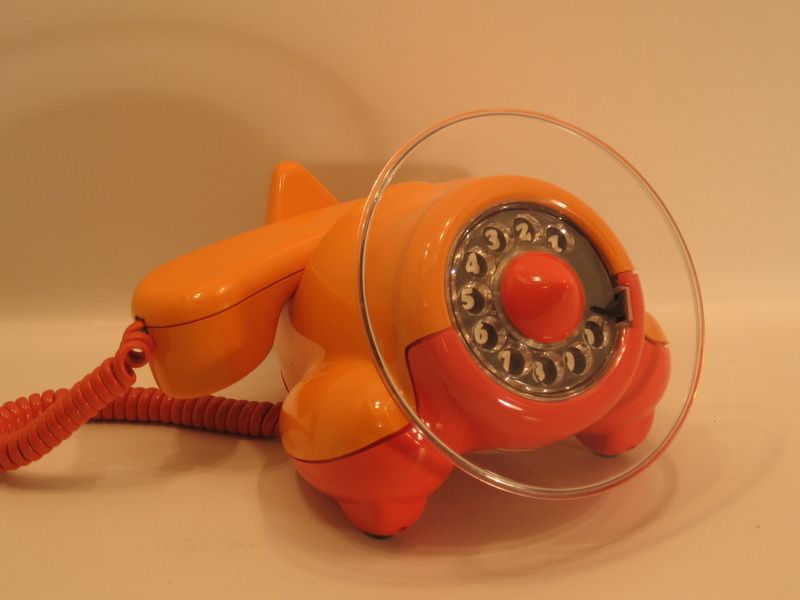 Phone lamp. Gold: quantity 1. Circa 1940. SKU: DPTC25. 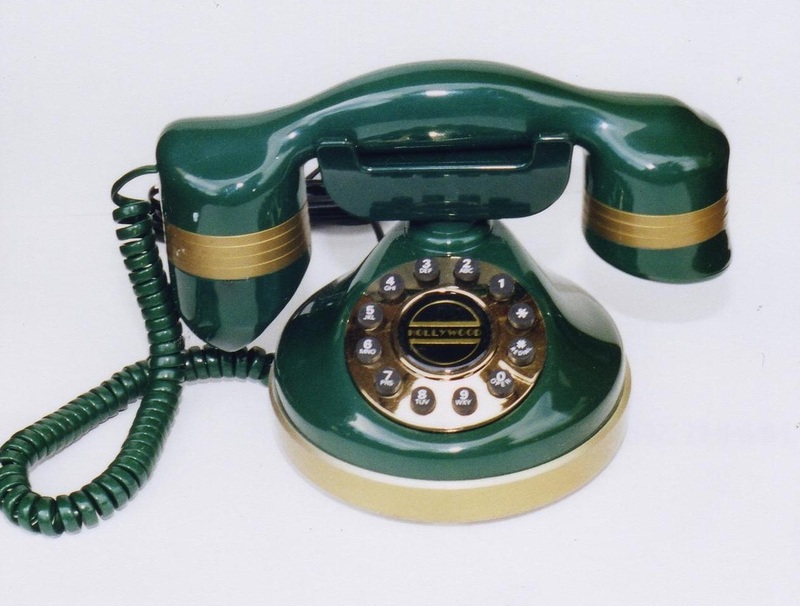 "Monster" phone . Red: quantity 1. Manufacture date: modern. SKU: DPTC17. 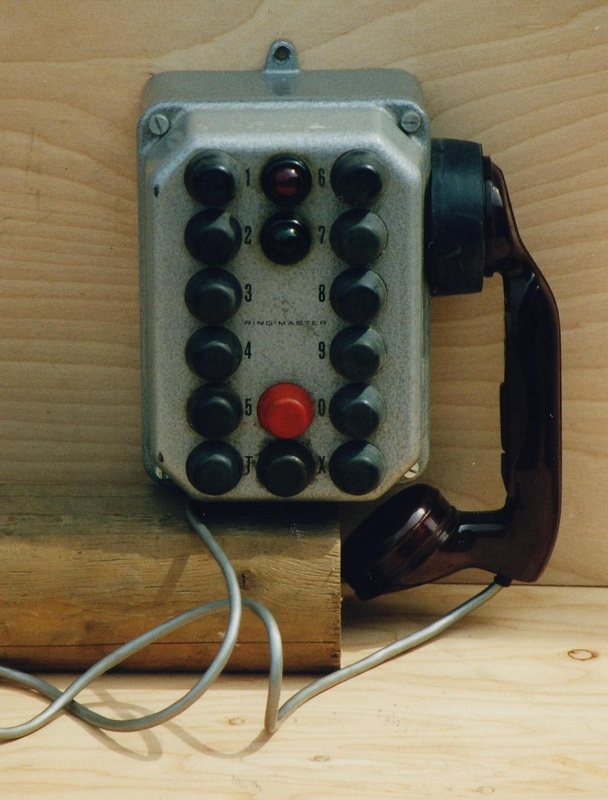 "Hollywood" phone . Green: quantity 1. Manufacture date: modern. SKU: DPTC32. 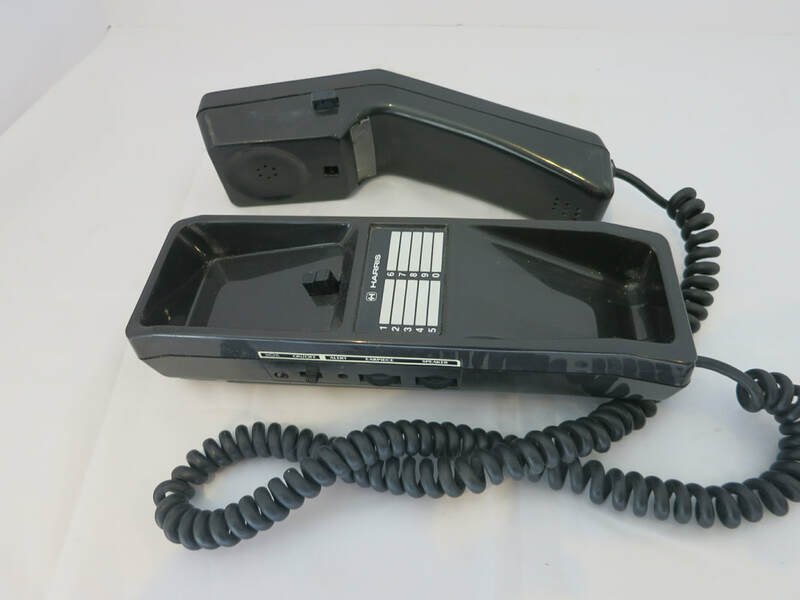 Plastic touch call phone . 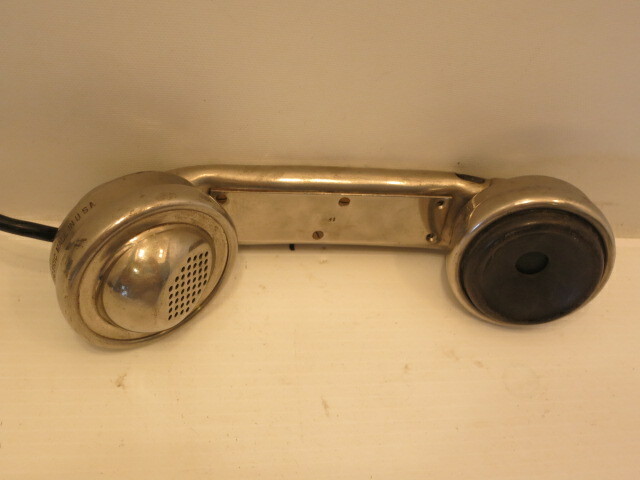 Reproduction of 1930 dial desk phone. Manufacture date: modern. SKU: SP64. 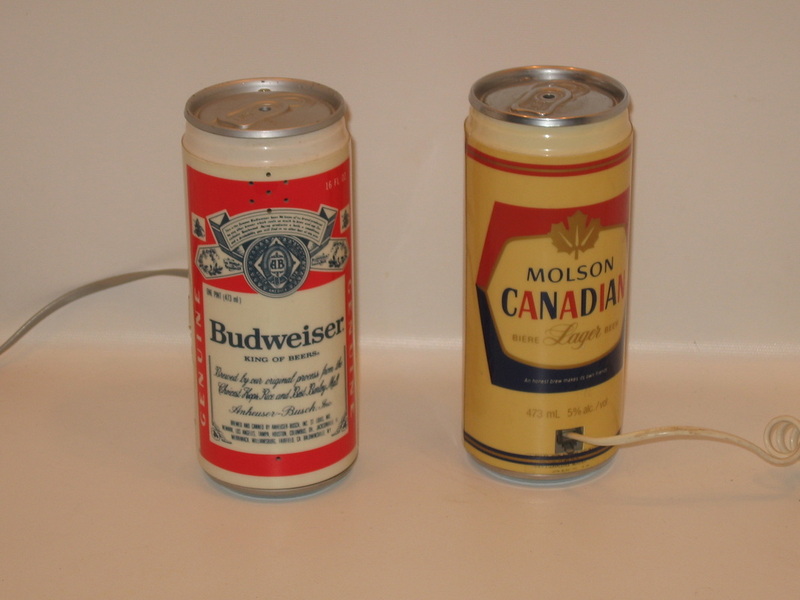 Beer can touch call phones -Budweiser and Canadian. Quantity 2. Circa 1970. SKU:DP47 . 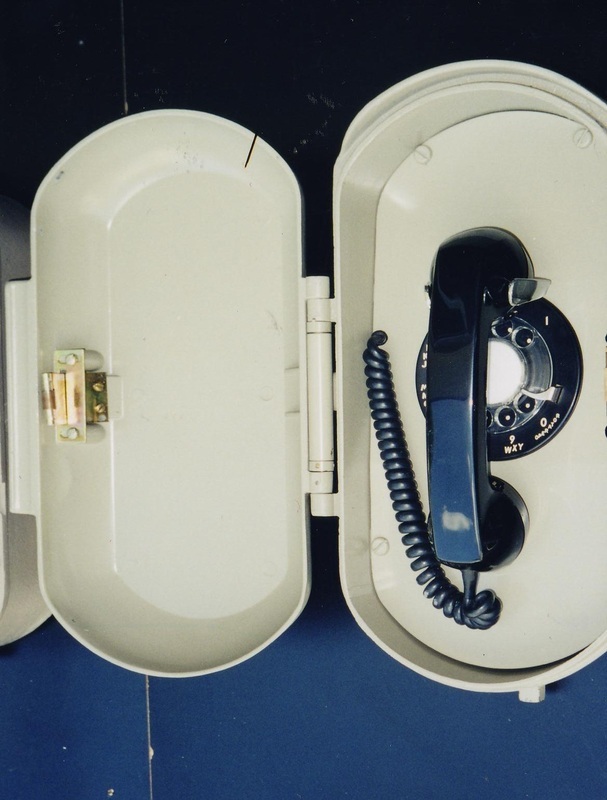 Alexander Graham Bell airplane phone. Orange: quantity 1. Manufacture date: modern. 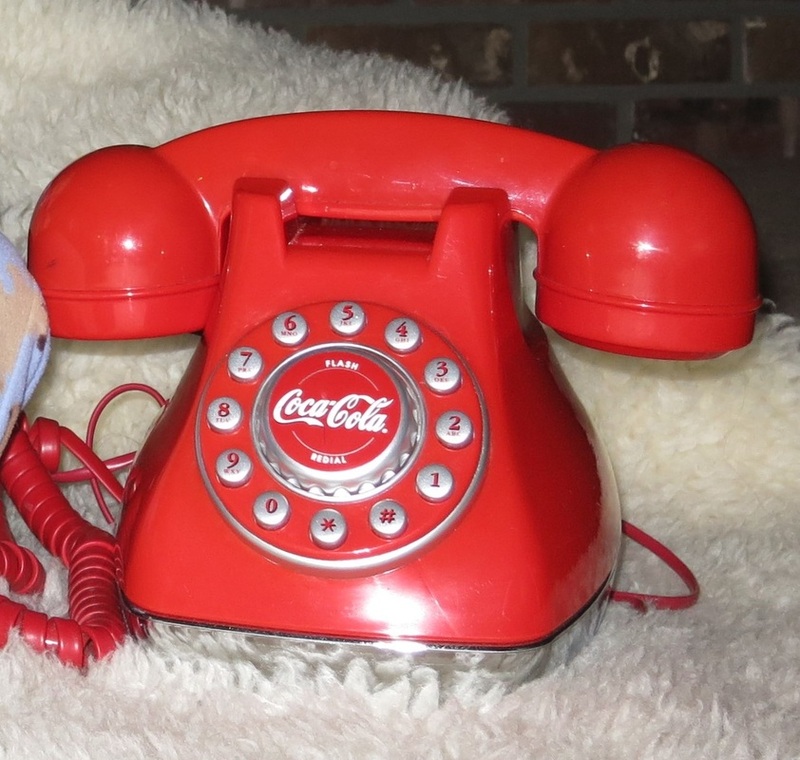 DPTC 33: Coca Cola touch call desk phone. 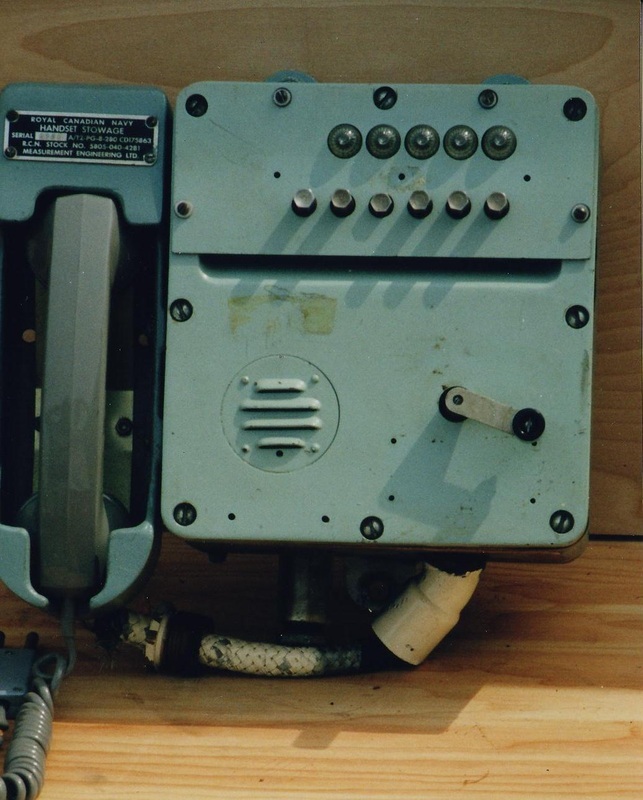 Modern working phone. SKU:DP47 . 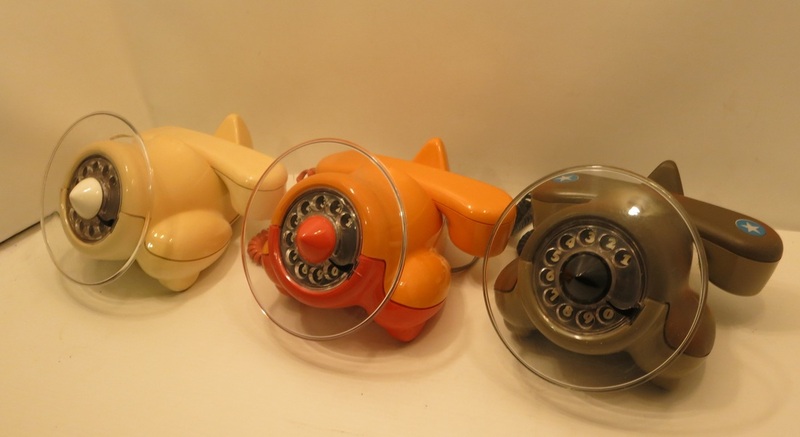 Alexander Graham Bell airplane phones . Ivory (1), orange (2), camoflauge (1). Manufacture date: modern. 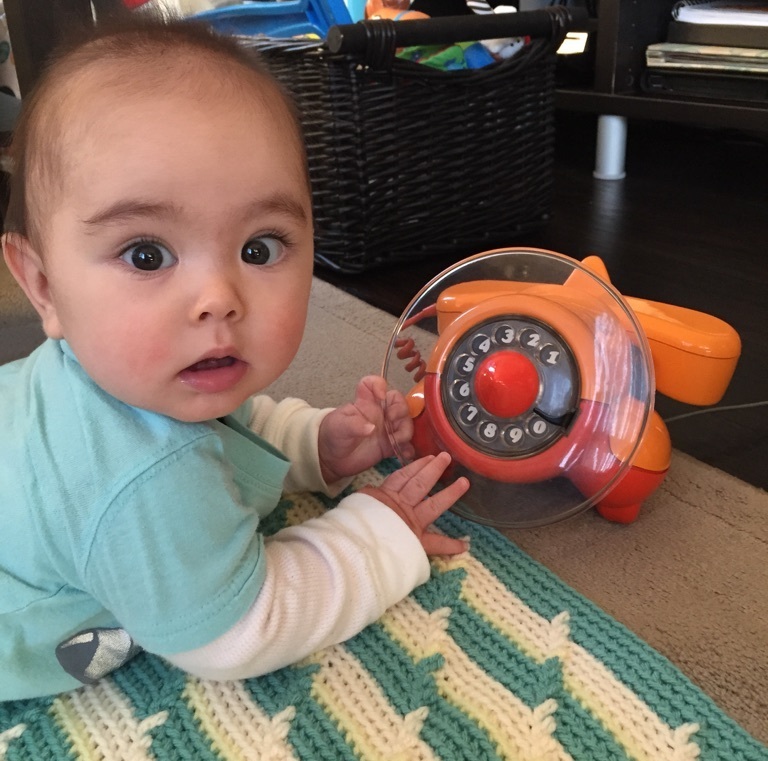 Hands-on experience for my little grandson..... in training to take over the business. 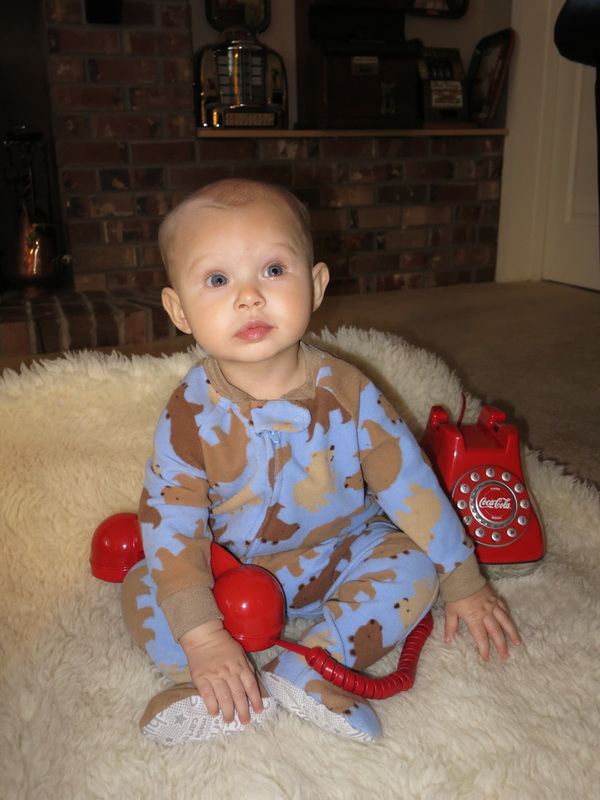 My other apprentice (grandson #2) - "Grandpa ...It's for you!" SKU: SP77. 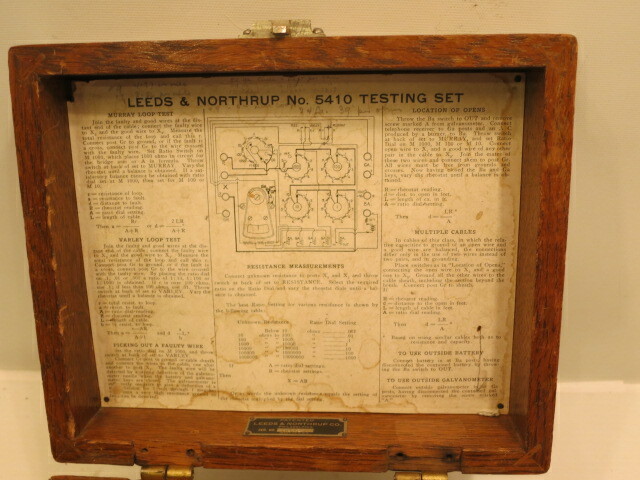 Leeds & Northrup Telephone Test Equipment. Circa 1940's . SKU: SP77. Instructions on inside cover. SKU: SP44. 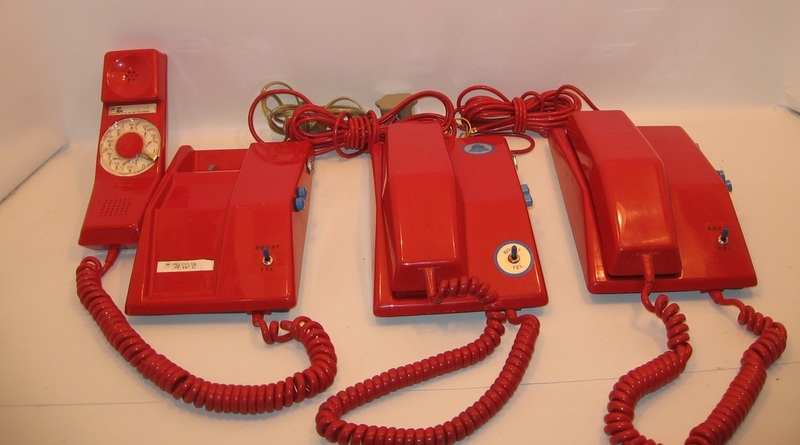 Lineman dial & non-dial test sets. Black & chrome. SKU: SP44. 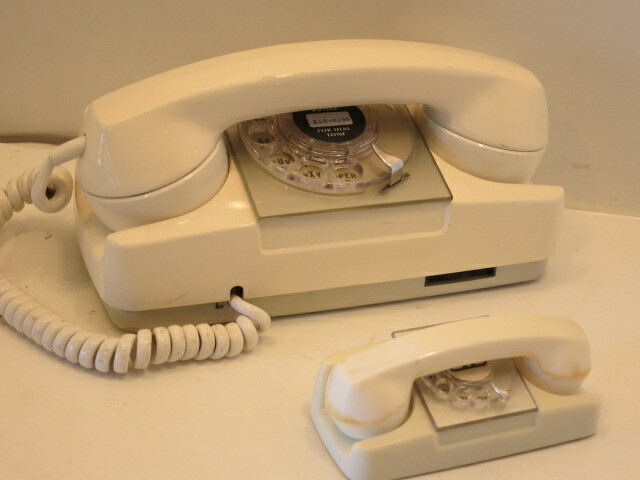 Lineman dial test set dial. Grey. SKU: SP44. 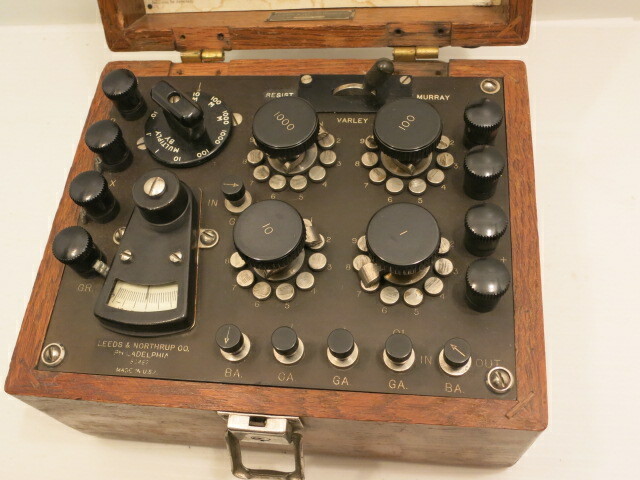 LIneman dial test set. 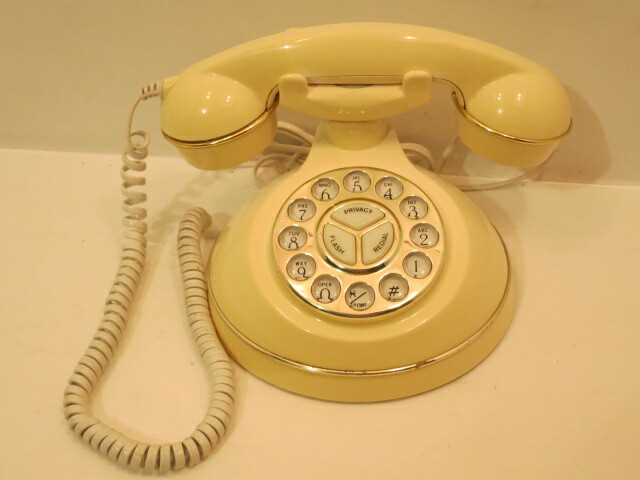 Dial. Red. DKU: SP44. 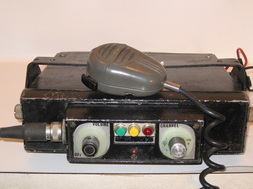 Linesman touch call test equipment. Yellow. SKU: SP44. 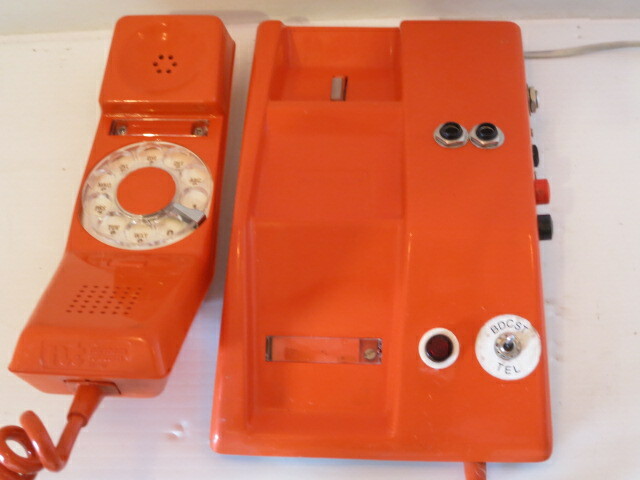 Linesman dial test set. Orange. SKU: SP44. 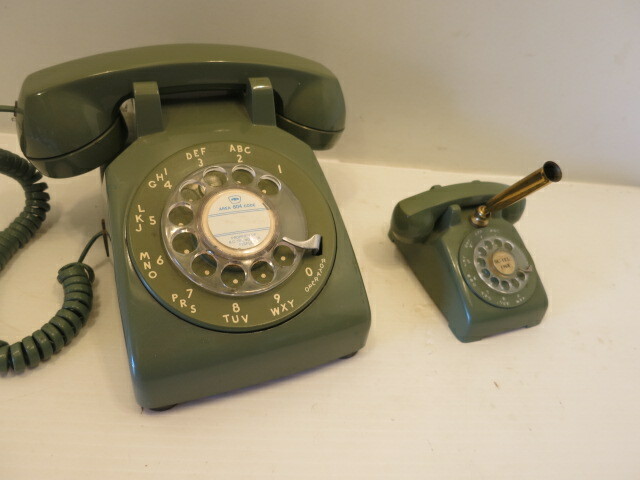 Linesman dial test set. Grey. SKU: SP44. 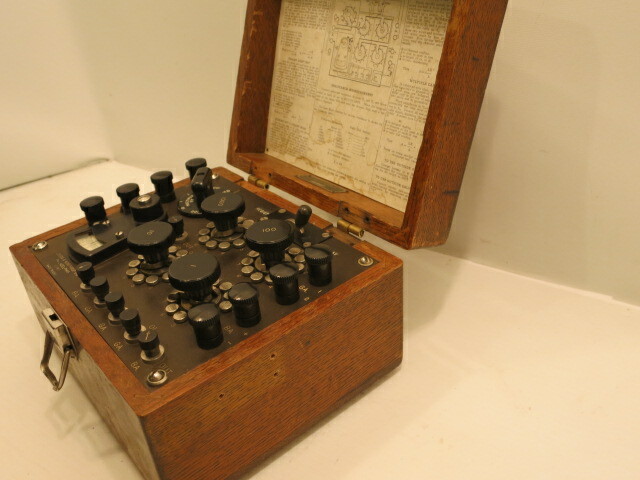 Linesman non-dial test set. Chrome. SKU: SP44. 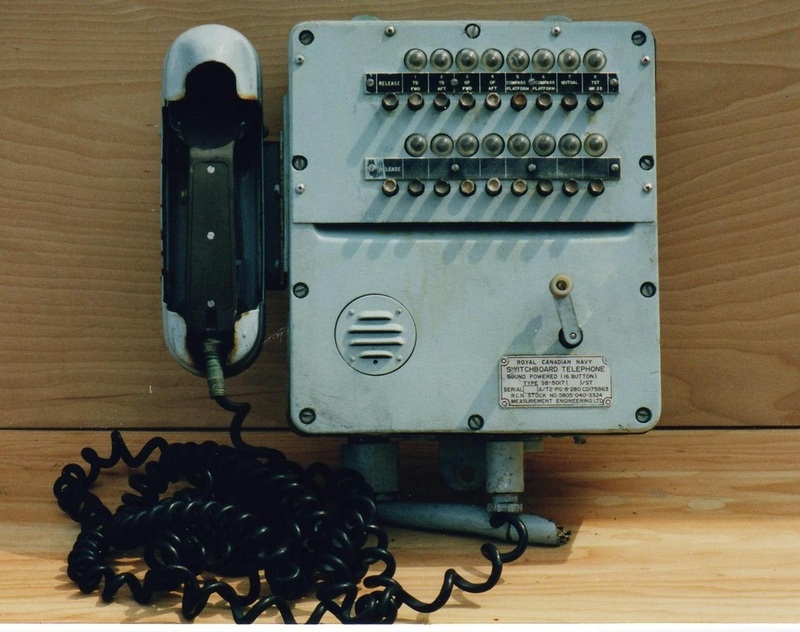 Linesman dial test set. Green. SKU: SP44. 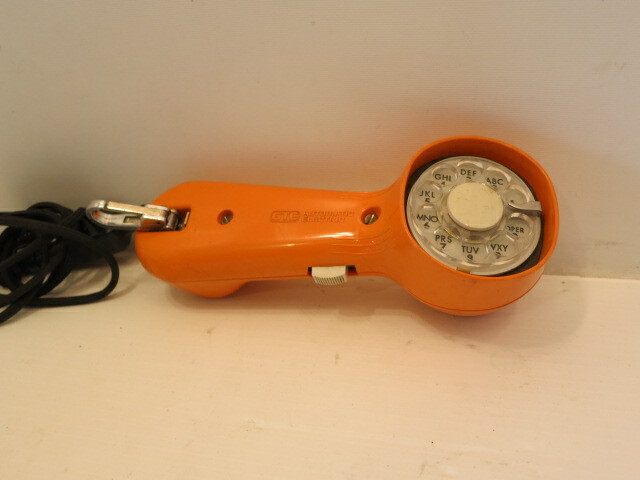 Linesman dial test set. Black. SKU: SP44. 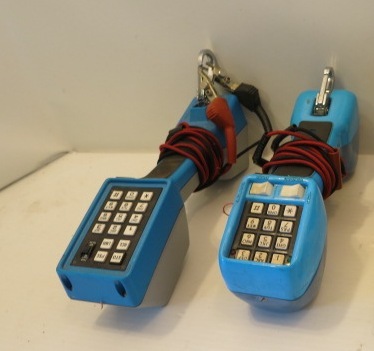 Linesman touch call test sets. Blue. SKU: SP20. 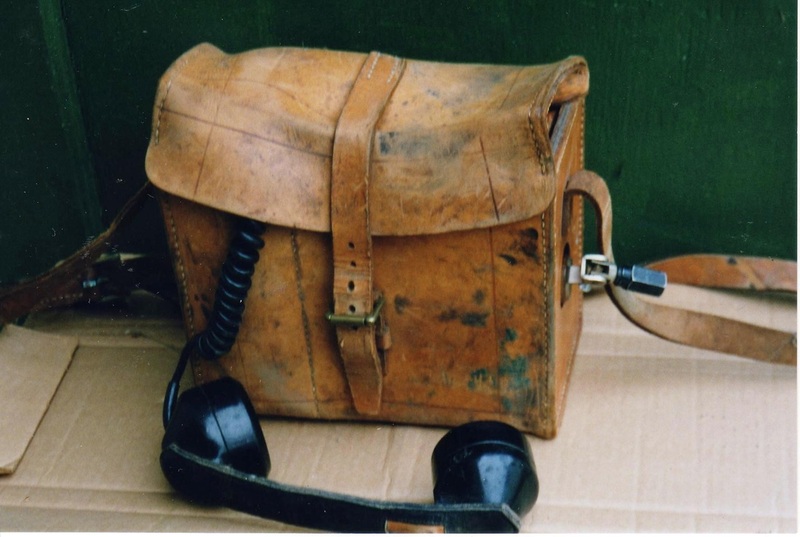 Linesman test equipment. Leather: quantity 2. Circa 1940. 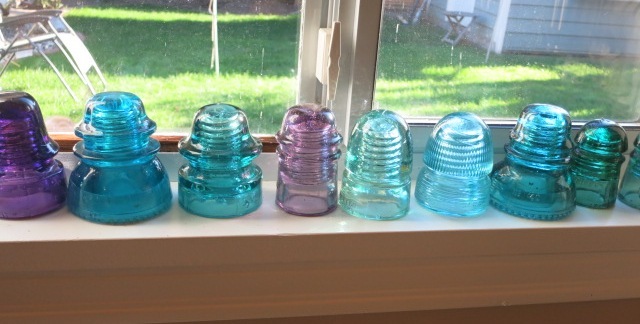 Telephone insulators - large selection. 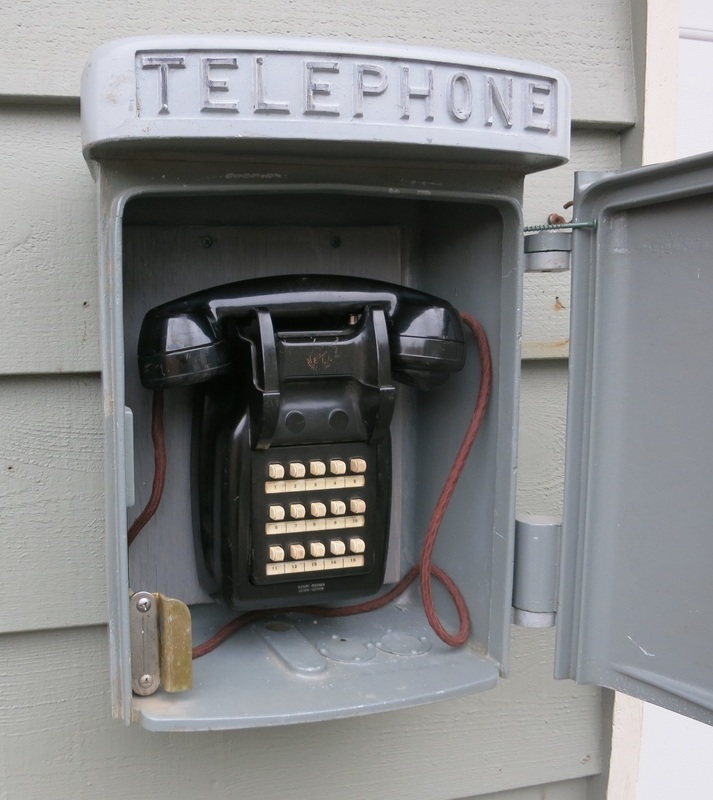 Telephone insulator shown on side block.